The original location of Maricopa Airport, as depicted on the 1950 USGS topo map. The original airport for the town of Maricopa was located adjacent to the south side of the town. The date of establishment of Maricopa Airport has not been determined. 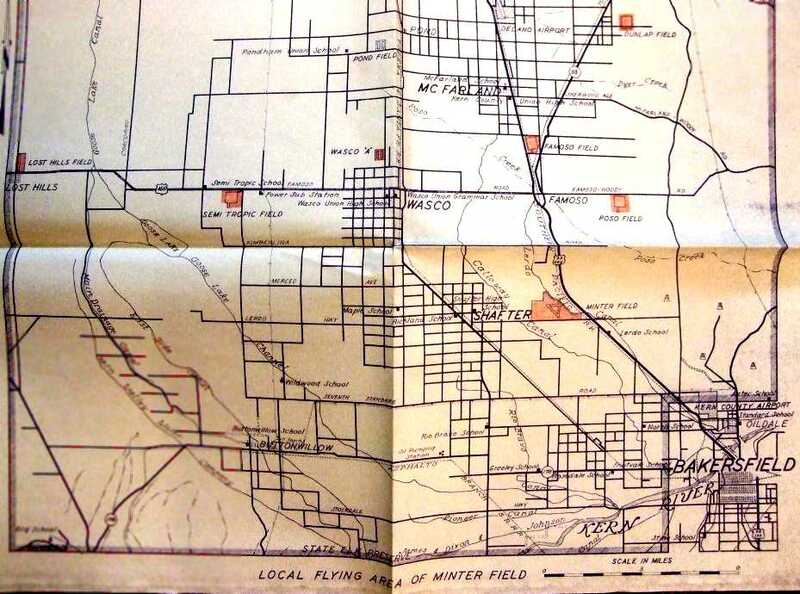 Maricopa Airport was not depicted at all on aeronautical charts from the 1940s through subsequent decades. 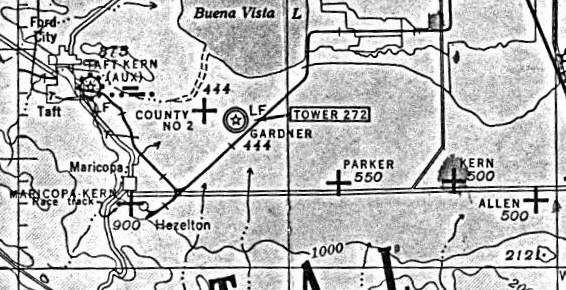 The earliest depiction which has been located of Maricopa Airport was on the 1950 USGS topo map. It depicted Maricopa Airport as having a paved northeast/southwest runway, with one small building on the northeast side. 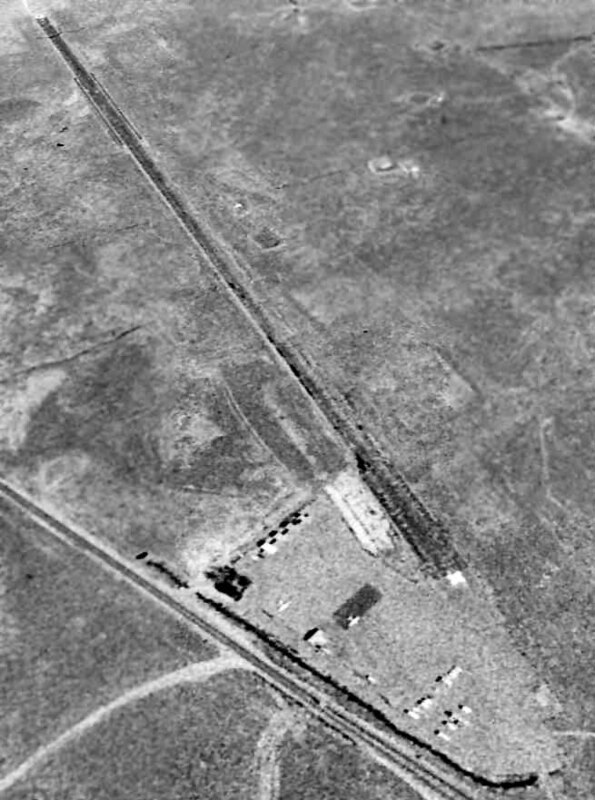 A 1952 aerial photo depicted Maricopa Airport as having an asphalt or oiled northeast/southwest runway. 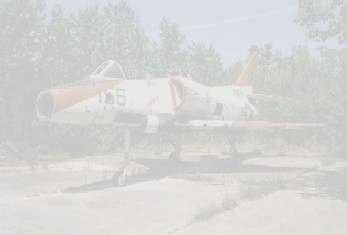 There were no buildings or aircraft visible on the airfield. The 1965 USGS topo map continued to depict Maricopa Airport in an unchanged fashion. 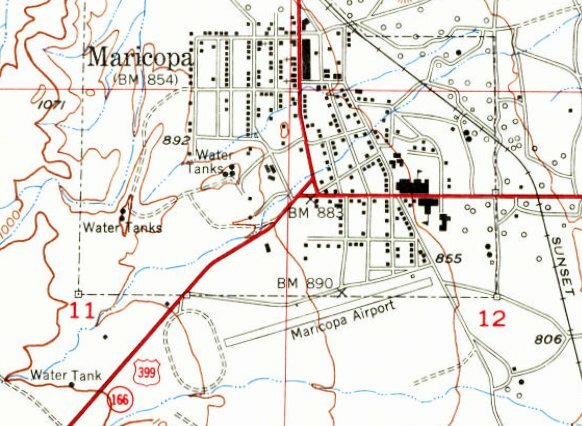 At some point between 1965-73, the Maricopa Unified School was built on the site of the original Maricopa Airport, as depicted on the 1973 USGS topo map. A replacement Maricopa Airport was built 1/3 mile to the west. 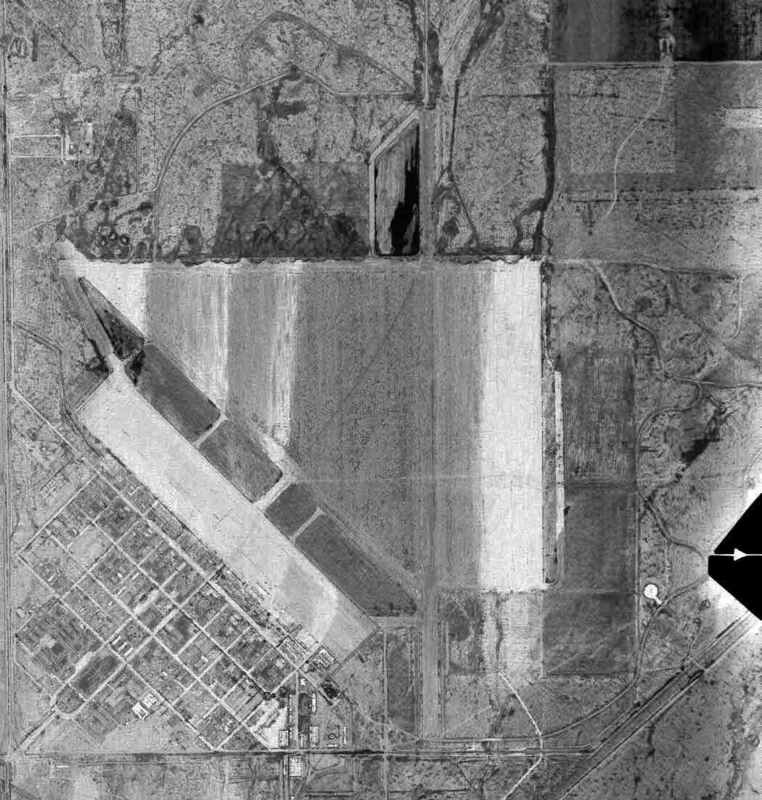 The earliest photo which has been located of the site of the original Maricopa Airport was a 1976 USGS aerial view. 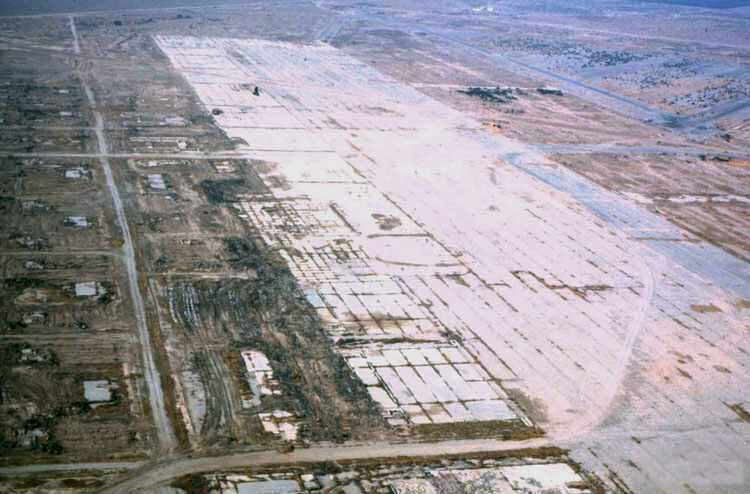 It depicted the Maricopa Unified School occupying the western portion of the airport site, but the remains of the runway extended toward the northeast. 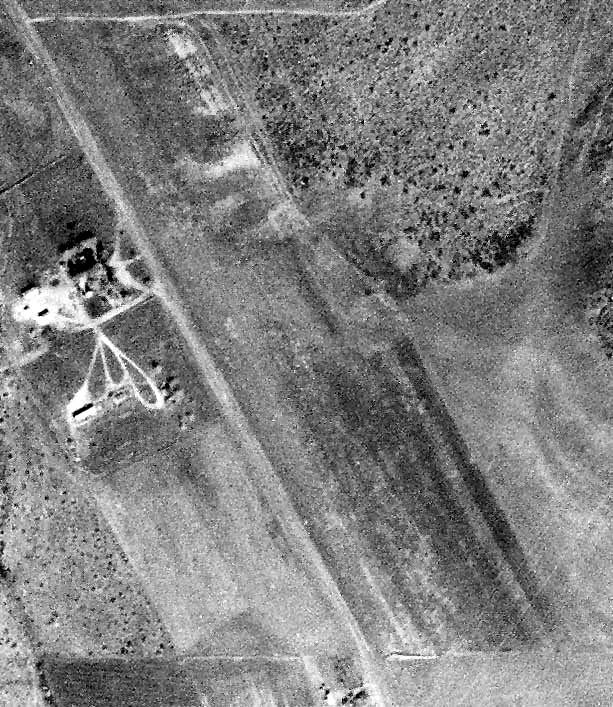 A 2017 aerial photo showed no trace remaining of the original Maricopa Airport, with the property occupied by the Maricopa Unified School & houses. The site of the original Maricopa Airport is located at the southern terminus of Southern Kern Street. 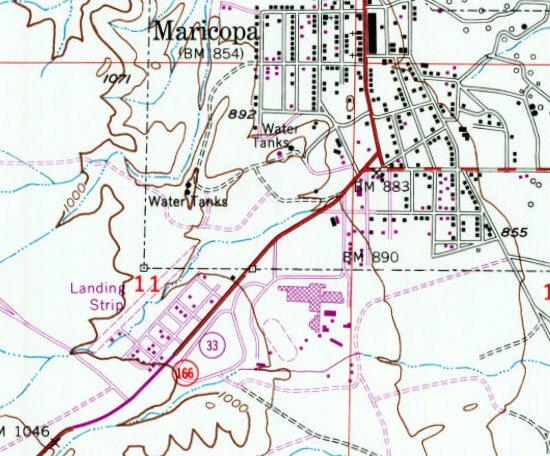 The 2nd location of Maricopa Airport, as depicted on the 1973 USGS topo map. At some point between 1965-73, the original Maricopa Airport was replaced by a new airfield 1/3 mile to the west. The 2nd location of Maricopa Airport was not depicted at all on aeronautical charts from the 1970s through subsequent decades. 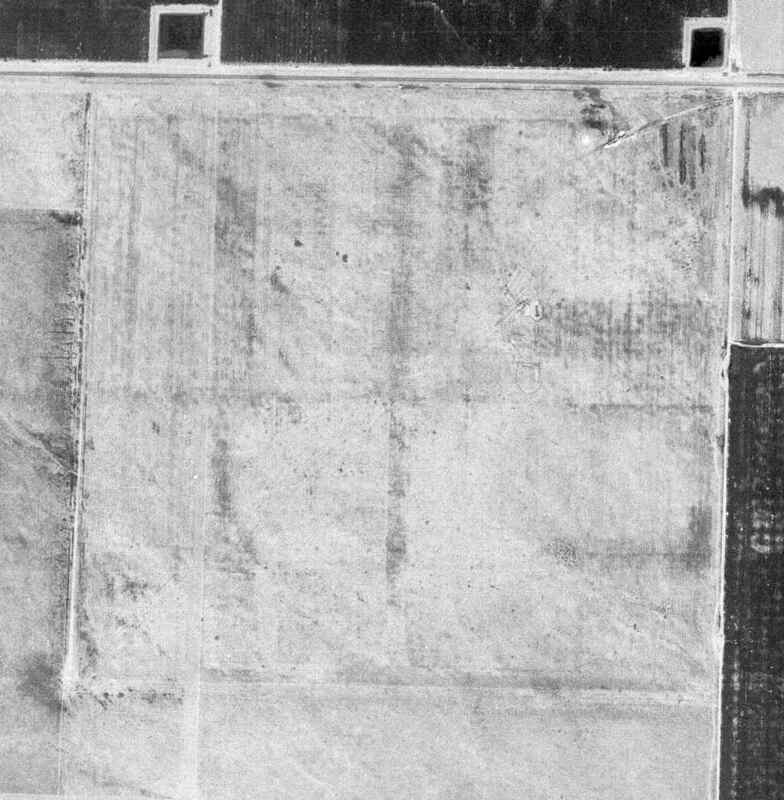 The earliest photo which has been located of the 2nd location of the Maricopa Airport was a 1976 USGS aerial view. It depicted the 2nd location of the Maricopa Airport on the left side, with a northwest/southwest runway & 2 small buildings on the south side. 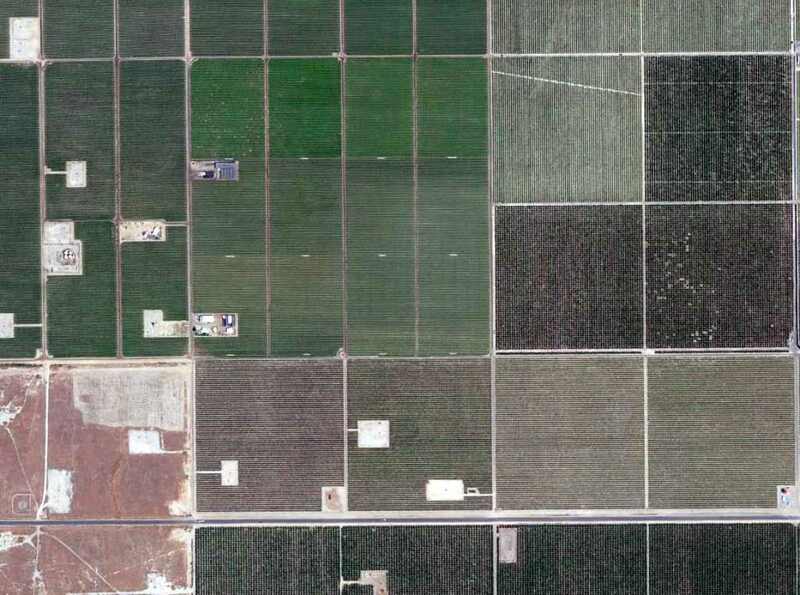 A 1994 USGS aerial view looking north depicted the 2nd location of the Maricopa Airport as having northwest/southwest runway & 2 small buildings on the south side. A 2017 aerial view looking north depicted the 2nd location of the Maricopa Airport as having northwest/southwest runway & 2 small buildings on the south side. The site of the 2nd location of Maricopa Airport is located at the western terminus of Cover Street. 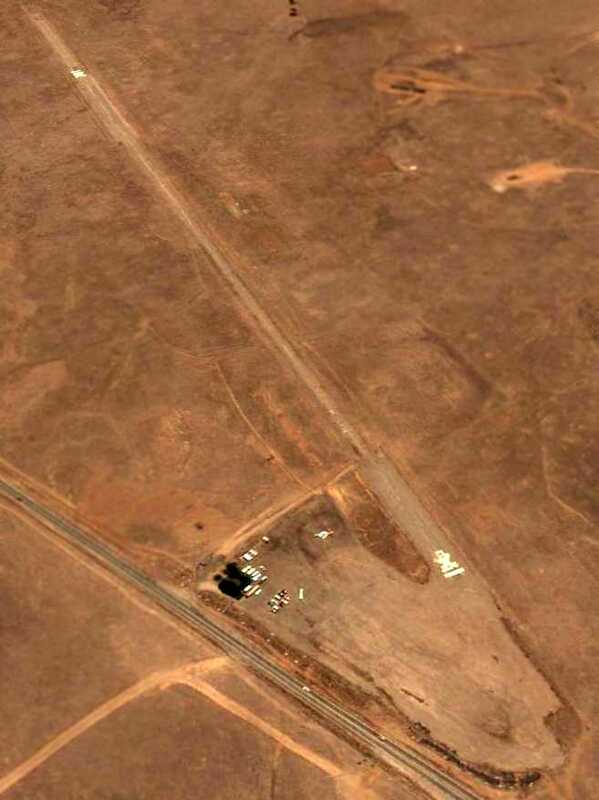 Thanks to John King for pointing out this airfield. An advertisement promoting the 5/11/46 Grand Opening of La Cresta Airfield. and in March 1922 started flights to Los Angeles from Holloway Field, west of Baker Street. suggest that an airstrip was first in use there sometime between 1938-41. VanZant wrote, “They had about half-dozen aircraft there. The runway ran north/south, and at the point of takeoff at the bluffs, planes cleared the road by 100-150'. Roxana Francis wrote, “The airstrip was called Monty's La Cresta Airfield. It was along the east side of River boulevard across from the cemetery. The strip ran from Panorama to maybe Acacia. The strip wasn't very wide. Dean VanZant recalls that La Cresta had an airport operations office. they hired John 'Monte' Montijo to manage it. who had been an Army flight instructor during WWI, a stunt pilot for Goldwyn Studios, and the man who qualified Amelia Earhart's solo. During WWII his son, young Monte Montijo, was assigned to the 353rd Fighter Squadron in Europe where he flew P-51 Mustangs. Monte’s fighter experience made him immanently qualified to teach flying under the GI Bill. According to Paul Milazzo, ”La Cresta Airport... The parking & office were on the southeast corner of River Boulevard at Panorama Drive. The strip ran from that corner where the old 76 service station building still stands & ran southeast from that point. My father (Alfred Milazzo) was manager of McCart & Bultman furniture store & was also the store's pilot. They had a Piper twin for traveling to markets. He gave me my first ride from that strip in probably around 1945-47. We taxied out to the southeast end & took off into the breeze from the northwest. It was a single-engine plane the airport leased out. John Bresnahan recalled, "I learned to fly out of Kern County Airfield in 1945 & received my license in 1946. Shortly thereafter, I noticed the construction of La Cresta airfield, and upon its completion, I moved my PT-19 to La Cresta because I lived in the immediate area. I was 16 at the time, and my dad & I flew out of La Cresta into 1949. I met Jim French, and even flew my Fairchild to Arvin on two occasions to swamp for Steve Straub. My flying buddy at the time was Jim Bowers, and he parked his PT-15 next to me just beyond the gas island. I remember the P-40 that Monte bought & sold to the Mexican Air Force (I was told). In 1949 Jim discovered cracks in my Fairchild, and that ended that. When I found out that they tore it apart & sold the parts, I was crushed. and only discovered the frame much later in a gully south of the hangar." Mary Shell recalled, "I am pretty sure the field was built after WWII, in 1946.
and in 1947 moved over to La Cresta Airfield on the bluffs. and was owned & developed by Ralph Smith, the local realtor. There was no control tower. You just used your eyes to land & take off when it was safe. One great advantage at La Cresta was when you took off toward the northwest over the bluffs you had an immediate increase in altitude. John 'Monte' Montijo was the manager for the 6-8 years it was operating. The business was called Skyway Associates, which had the Cessna dealership & operated a flight school under the G.I. Bill. objecting to the airport as a nuisance & asking that its permit be revoked. Supervisors claimed that the operators had originally agreed to operate it a private airport, but opponents insisted it had become a commercial airport. Noise was the major complaint but also the fact that it was near Greenlawn cemetery & disrupted funeral services. Another complaint was the operators allowed student pilots to fly, which created a potential danger to the neighborhood. to evaluate a new flight pattern recommended by the Civil Aeronautics Authority. It required takeoffs to immediately head over uninhabited territory. Emotions ran high, and in August, Rabbi Jack Levy recommended a 90-day cooling-off period. 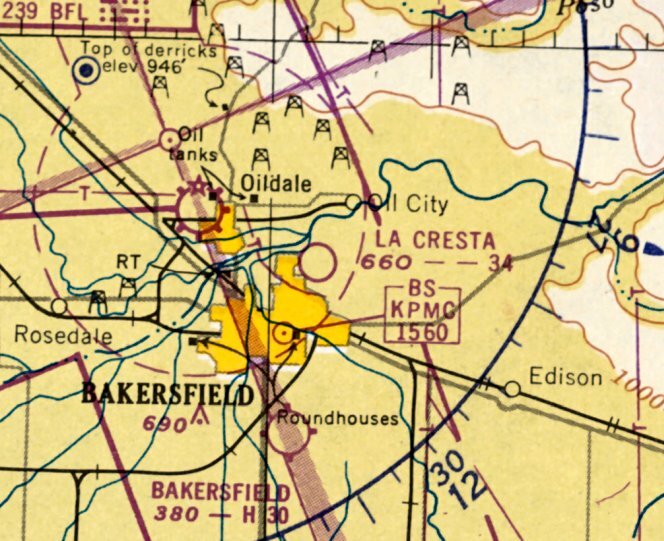 La Cresta Airport was not depicted at all on the August 1946 LA Sectional Chart. The earliest photo which has been located of La Cresta Airport was an 8/16/46 aerial view (from the UCSB Library). It depicted La Cresta Airport as having a single asphalt northwest/southwest runway with 10 light single-engine aircraft parked near some small buildings on the northwest side. got a full dose of clamor in January 1947 when an air circus was held at La Cresta Field. 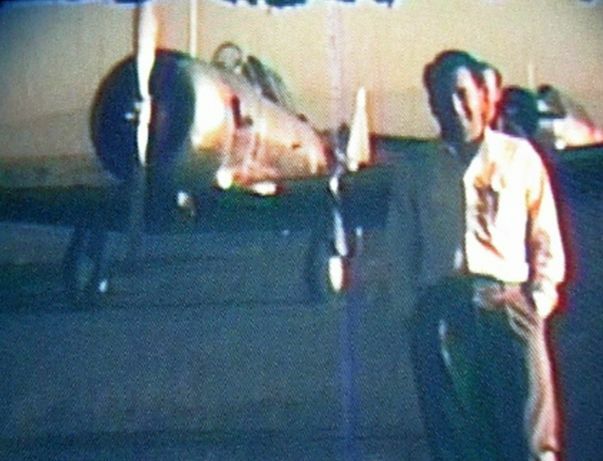 The earliest ground-level photo which has been located of La Cresta Airport was a 1947 photo of airport manager Monte Montijo in front of 2 North American AT-6 Texans. 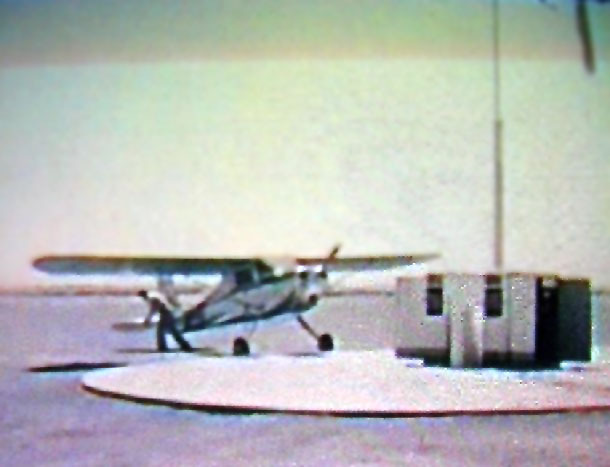 A 1947 photo (enhanced by Bill Grasha) of a Cessna 1940 at the Shell gas island at La Cresta Airport. 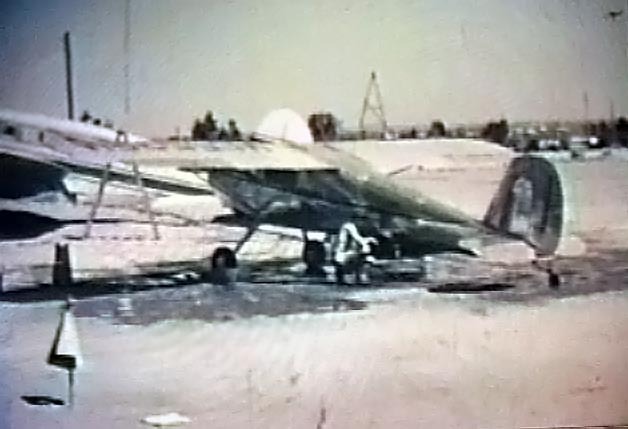 A 1947 photo (enhanced by Bill Grasha) of a Cessna 1940 undergoing maintenance at La Cresta Airport. A 1947 photo (enhanced by Bill Grasha) of several people walking into the La Cresta Airport office, with several aircraft in the background. which was the largest crop dusting firm here at the time. Most of the Atwood pilots were WWII veterans just out of the service. One was Jim French, a Navy ace, and another was Steve Straub, an American who volunteered with the Royal Canadian Air Force before we were in the war. Steve flew Spitfires. 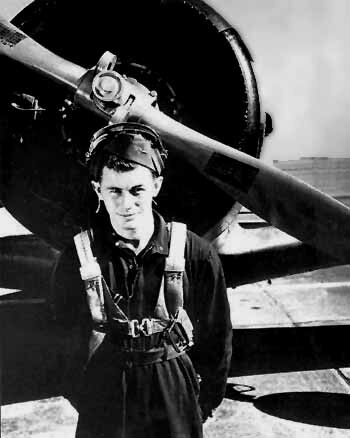 Another Canadian pilot for Atwood was Bill Jukes. I worked there in 1947/48 in the office, keeping books & dispatching planes. I had obtained my private pilot's license in 1947, and I received part of my pay at La Cresta Airfield in flying time. 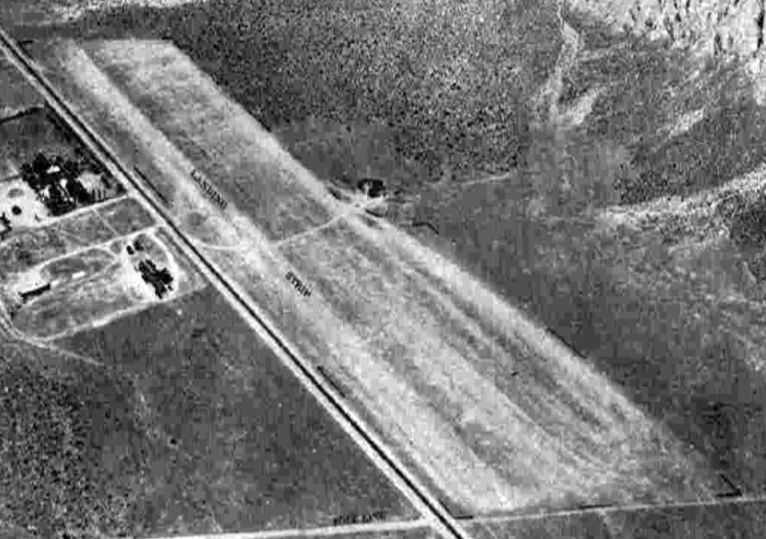 A 1949 aerial view of the northwest end of La Cresta Airport. According to Gilbert Gia, "In 1949 Monte Montijo was in charge of La Cresta Squadron of the Civil Air Patrol at La Cresta Airport. La Cresta Airport was not depicted at all on USGS topo maps from the 1940s-50s. The only aeronautical chart depiction which has been located of La Cresta Airport was on the September 1950 LA Sectional Chart. It depicted La Cresta Airport as having a 3,400' unpaved runway. 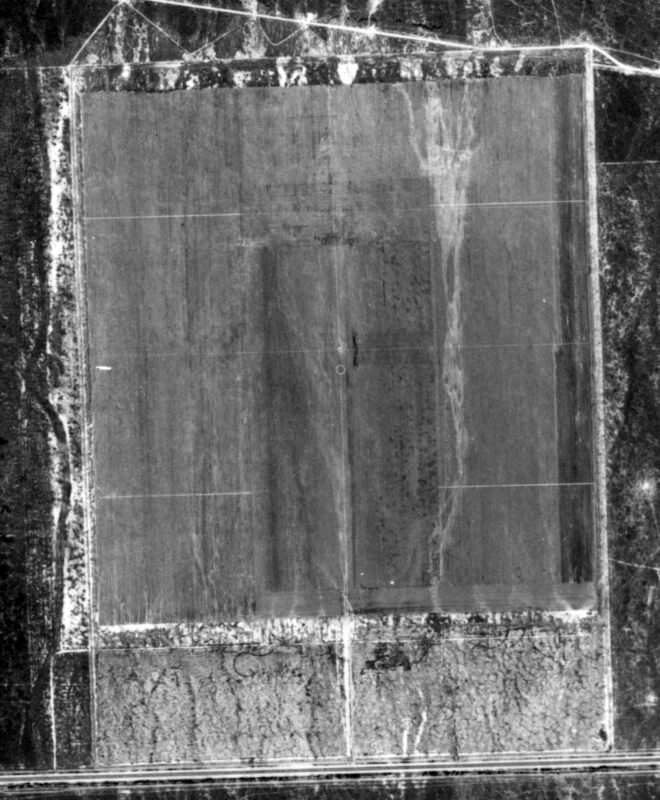 The last photo which has been located of La Cresta Airport was an 8/15/52 USGS aerial view. the field appeared abandoned already, with no aircraft visible on the field, and it appears the airport buildings had been removed. According to Gilbert Gia, "Panorama drive was widened in 1954 & Mt. Vernon avenue extended north to Columbus Avenue. But the continued noise, accidents, and nearby construction of Bakersfield College closed La Cresta Airfield. 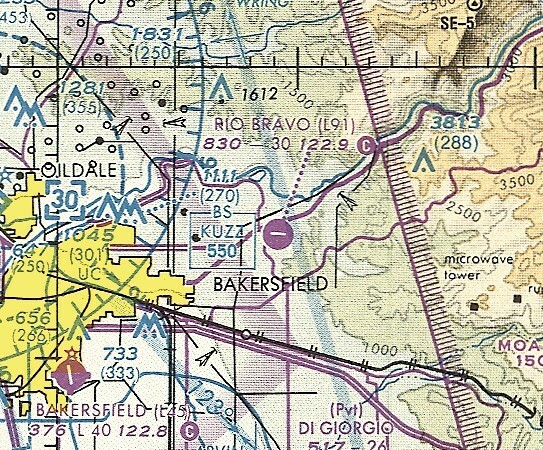 La Cresta Airport was no longer depicted on the March 1955 LA Sectional Chart. 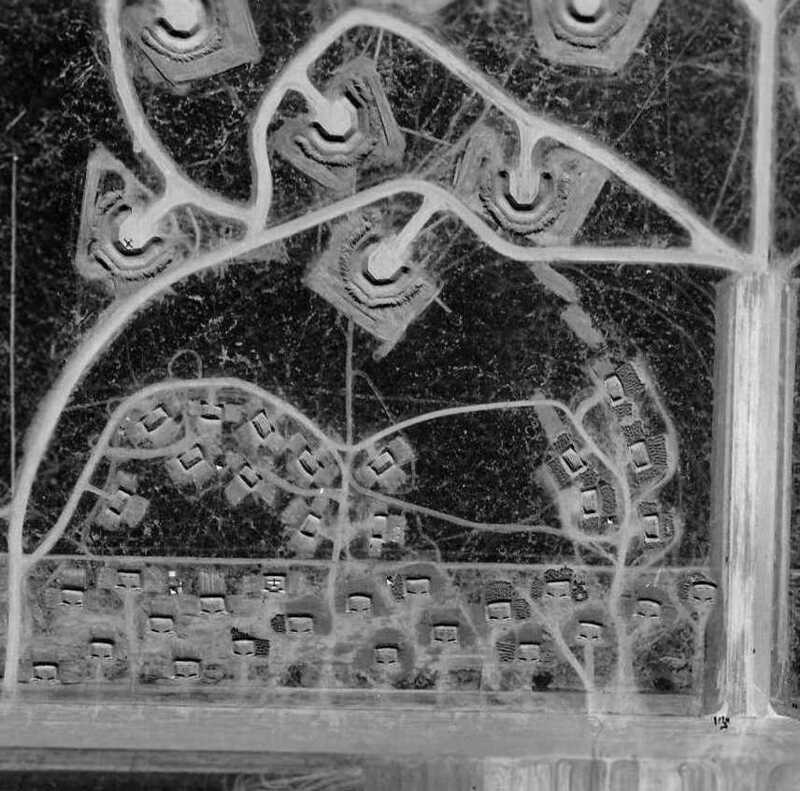 A 1992 aerial photo showed the site covered with housing, with not a trace remaining of La Cresta Airport. A 3/28/13 showed no trace remaining of La Cresta Airport. 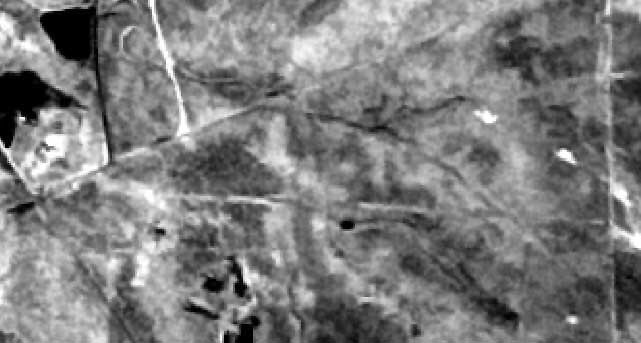 The earliest depiction which has been located of Rio Bravo Airport was an admittedly low-resolution 9/29/78 USGS aerial view (courtesy of Dallam Oliver-Lee). Rio Bravo Airport was yet another small grassroots general aviation airport lost to our nation's unquenchable need to build ever-more houses. 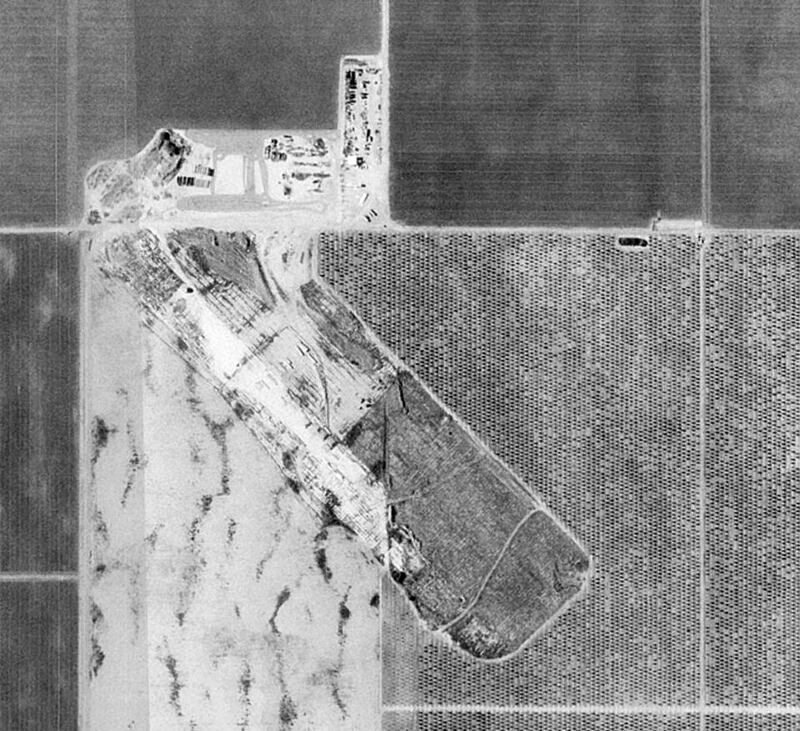 This small general aviation airport on the east side of Bakersfield was not yet depicted on a 6/4/77 USGS aerial photo (courtesy of Dallam Oliver-Lee). According to Charles Jones, “Rio Bravo Airport...was built in late summer of 1978. 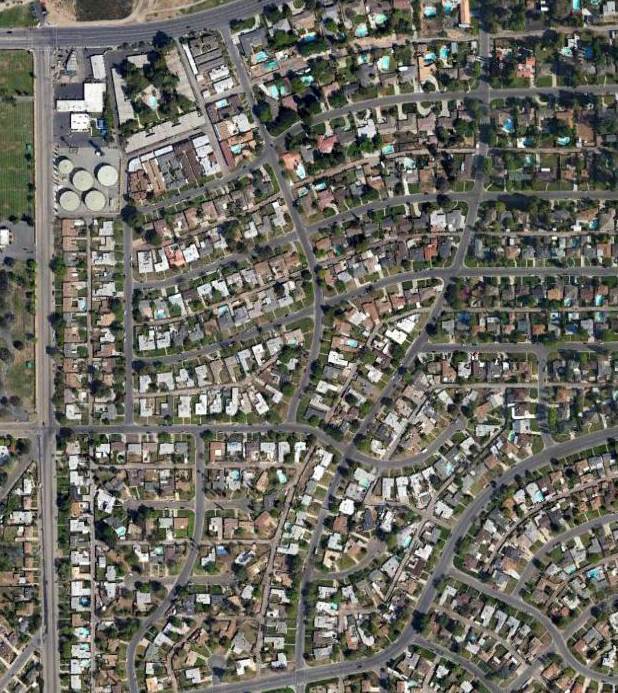 I grew up in East Bakersfield & still live in the area about 2 miles from the site of that strip. 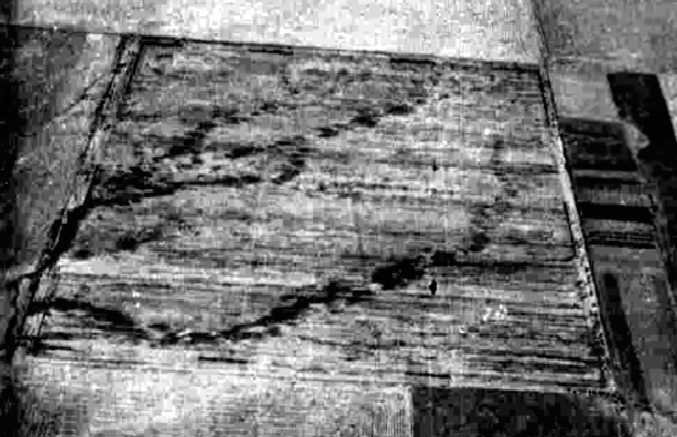 The earliest depiction which has been located of Rio Bravo Airport was a 9/29/78 USGS aerial view (courtesy of Dallam Oliver-Lee). was on the January 1982 LA Sectional Chart (courtesy of Paul Columbus). It depicted Rio Bravo as having a 3,000' unpaved runway. According to Charles Jones, “In 1984 I was working for Beechcraft West at Meadows Field as a line rat when a van pulled up & several men got out. My manager asked if I knew how to get to Rio Bravo & if so I was to take these men there. It turned out that they were repossession agents & they were planning to recover a Mitsubishi Diamond biz jet that had been flown into that field. When we arrived they gave the bird a quick look over noting that the torque link for the nose mount & the battery had been removed by the guy that had leased the plane. I was asked to distract the girl that manned the office at this airfield as I mentioned that I knew her from school. but I managed to flirt with her & otherwise kept her from calling until she asked me what was going on. I told her the truth, that the Diamond was being repossessed & warning the pilot would be a bad idea. especially as it was in the middle of summer & the temperature was in the high 90s to low 100s. actually the aircraft was in the dirt & about 10' from the oleander bushes that lined the airport property alongside Kern Canyon Road. Before the takeoff I was asked to chase the Diamond in case it ran out of runway before they got into the air. so should something go wrong there were enough people outside that could help the others out to safety. Charles continued, “Needless to say the Diamond got airborne with almost the whole runway. The one thing I think that helped was the topography of the facility. In the aerial pictures the runway appears flat; in reality it was sloped from the west end to about the middle & that was the direction the plane took, west to east, downhill. so that whoever had leased the aircraft would know that Mitsubishi once again had it. the Kern County Sheriff's office sent a deputy out to question everyone about a reported 'theft' of a biz jet. Fortunately it was another old classmate that asked a few questions & left after he talked to me. A 7/17/89 aerial view (from the UCSB Library) depicted Rio Bravo as having a single paved east/west runway. with a ramp & 2 small buildings on the northwest side. was a 9/15/92 USGS aerial view looking southeast (courtesy of Dallam Oliver-Lee). 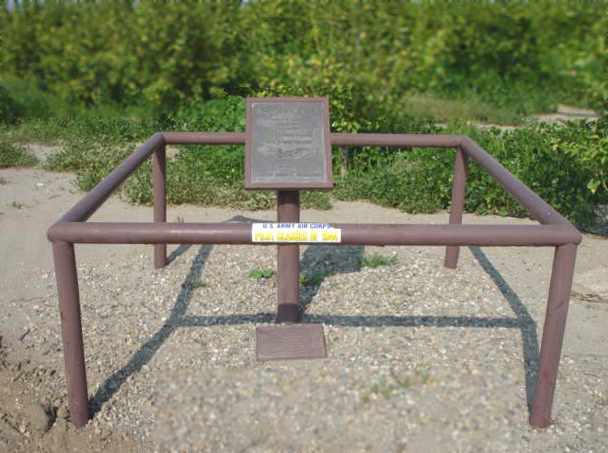 It depicted 2 single-engine aircraft on the ramp on the northwest side, even though the runway was already marked with a closed “X” on each end. was on the January 1998 LA Sectional Chart (courtesy of Ron Plante). 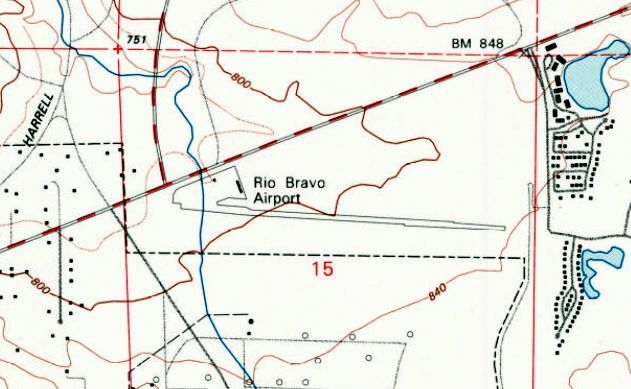 It depicted Rio Bravo as having a 3,000' paved east/west runway. and several of the T-hangars had been removed. was a 9/9/02 USGS aerial view looking southeast (courtesy of Dallam Oliver-Lee). A 12/31/04 USGS aerial view (courtesy of Dallam Oliver-Lee) showed that construction for new houses had covered the airport property. 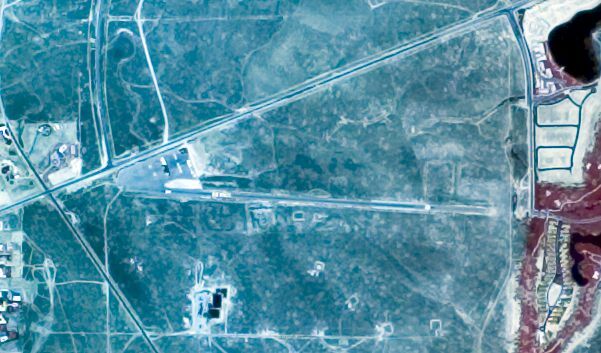 An 8/7/12 aerial photo appeared to show all of Rio Bravo Airport covered by a new housing development. The site of Rio Bravo Airport is located south of the intersection of Kern Canyon Road & Park Palisade Drive. 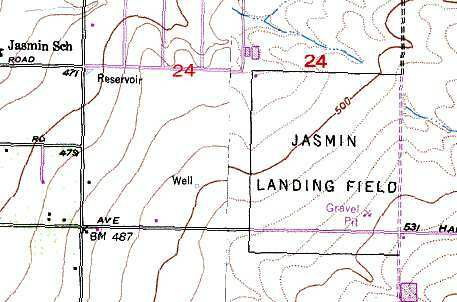 Pond Field, as depicted on a 1944 “Local flying area of Minter Field” map (courtesy of Ron Plante), along with the other Minter Auxiliary Fields. which was located a few miles to the southeast. 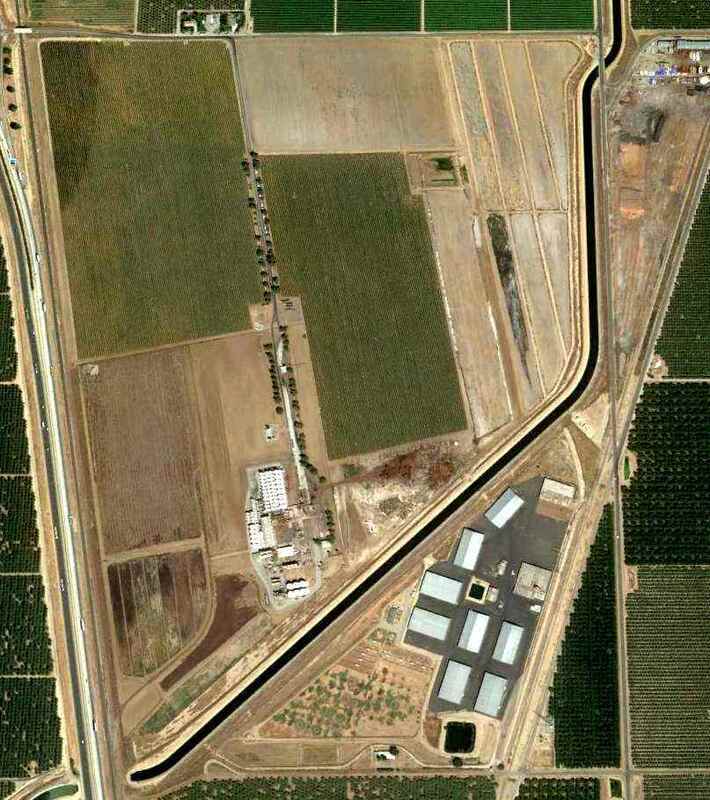 but its parent Lerdo Field was opened in June 1941. Throughout WW2, the primary aircraft flown at Minter Field was the Vultee BT-13 Valiant, which was used for basic flight training. North American B-25 Mitchell twin-engine medium bomber, and Lockheed P-38 Lightning fighter. Stewart Smith of the 525th School Squadron was killed in a stall/spin accident 6 NM west of Pond Field on 8/12/42. was on a “Local flying area of Minter Field” map (courtesy of Ron Plante), along with the other Minter Auxiliary Fields. but its location was hand-drawn along with the other Minter Auxiliary Fields. serial # 42-38889, piloted by Neal Wiedenmann. so it may have been abandoned at an earlier date. 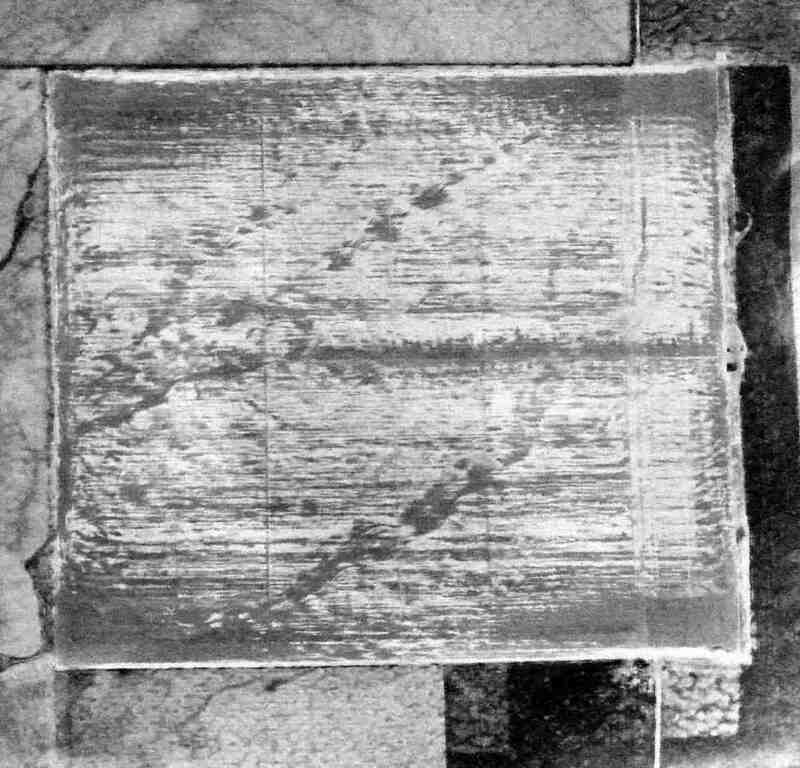 The only photo which has been located of Pond Field was a 7/7/46 aerial view (from the UCSB Library). 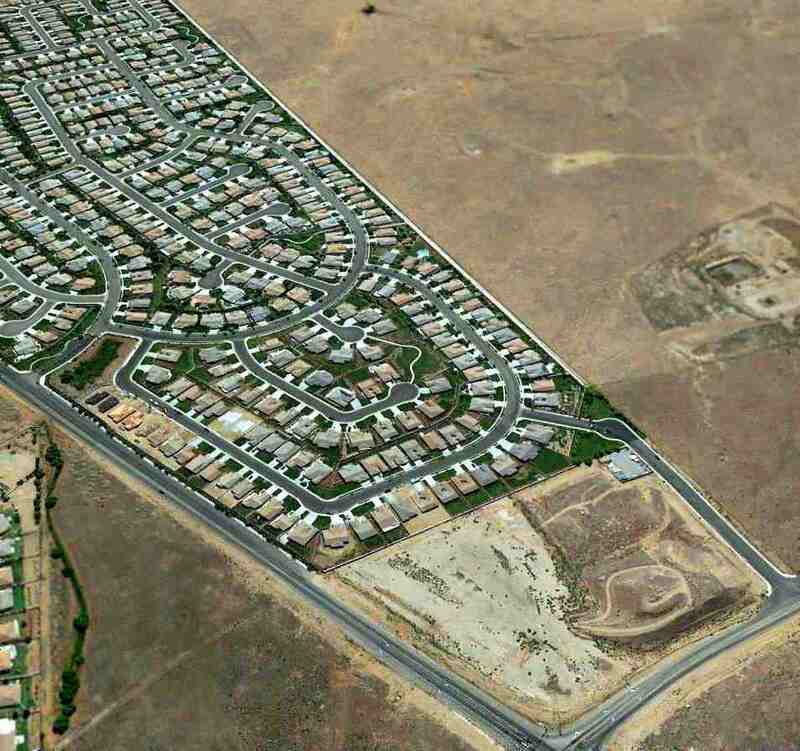 It depicted Pond Field as having 5 oiled runways occupying a square property. There were no buildings on the site. Pond Field was no longer depicted at all on the 1953 USGS topo map. and no trace was recognizable of the former airfield. An 8/27/12 aerial photo did not show any trace remaining of the former Pond Field. The site of Pond Field is located northeast of the intersection of Peterson Road & Magnolia Avenue. which was located a mere 3 NM to the south. The date of construction of Famoso Field has not been determined, but its parent Lerdo Field was opened in June 1941. A BT-13 trainer had an accident at Famoso Field on 4/22/42, serial # 41-10699, piloted by Leroy McDonald. 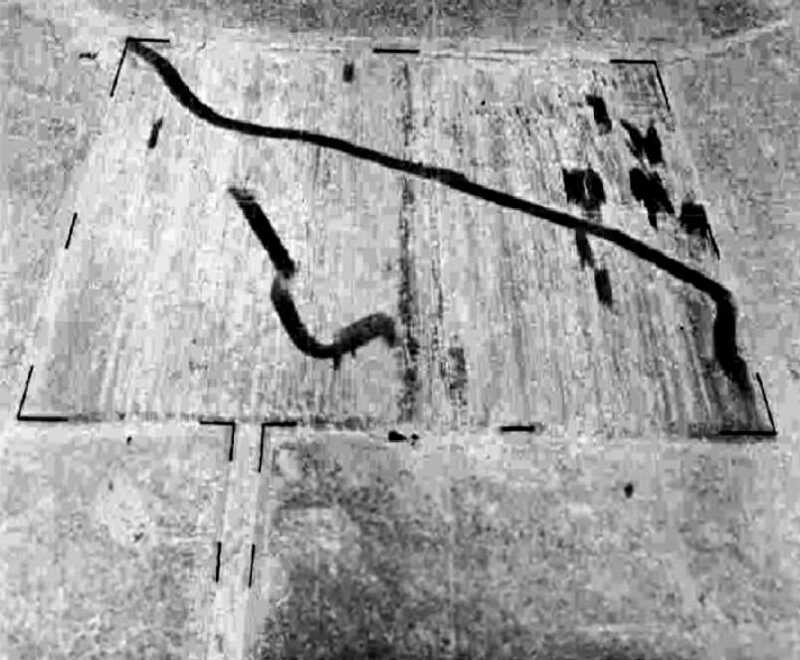 It depicted “Minter Field Auxiliary #3 (Famoso Field)” as having a square paved landing mat. 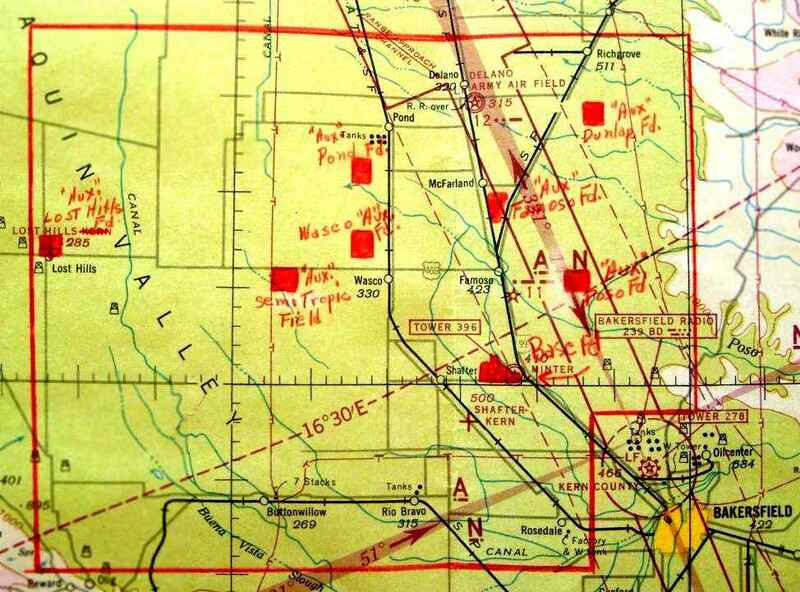 Famoso Field, as depicted on a 1944 “Local flying area of Minter Field” map (courtesy of Ron Plante), along with the other Minter Auxiliary Fields. The location of “Famoso Aux Fd” was hand-drawn over a February 1944 Sectional Chart (courtesy of Ron Plante), along with the other Minter Auxiliary Fields. 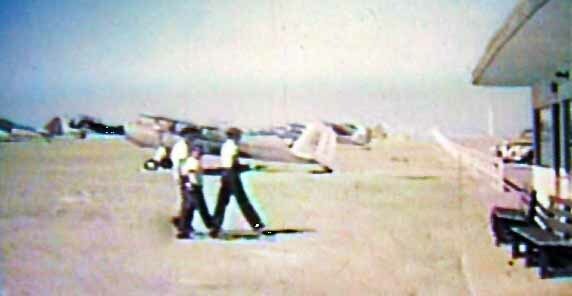 showing 4 single-engine aircraft operating along a strip which had been marked along the center of the landing mat. as having a 3,000' square road-mix landing mat with a 1,570' extension on the southeast end. It was described as being owned by private interests but operated by the Army Air Forces, but to be “inactive”. An AT-6C trainer had an accident at Famoso Field on 7/16/45, serial # 42-44187, piloted by Vincent Cunniff. but operations at its parent field (Minter AAF) ceased with the end of WW2 in 1945. Famoso Field was no longer depicted at all on the 1953 USGS topo map. 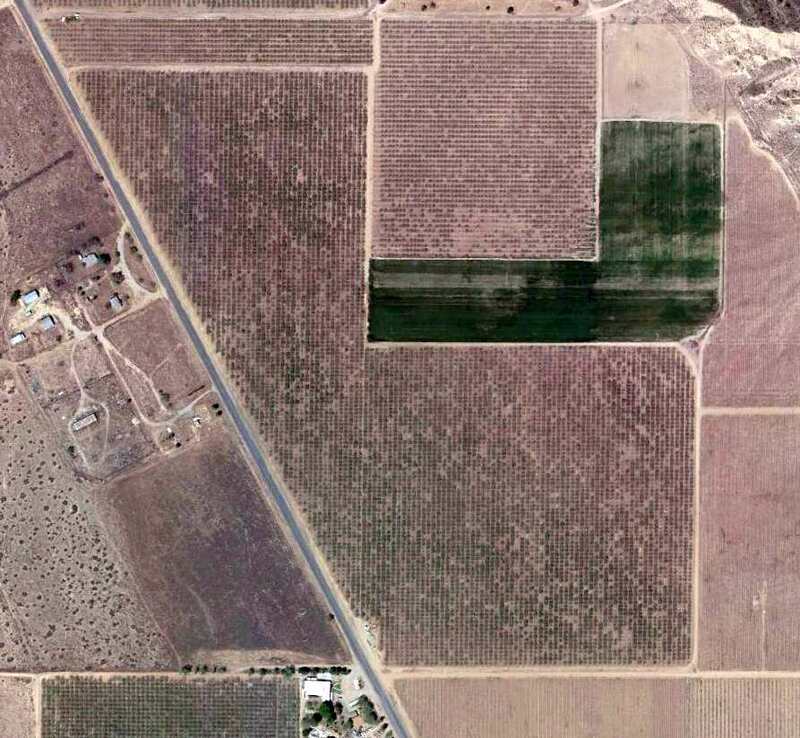 An 8/27/12 aerial photo did not show any trace remaining of the former Famoso Field. The site of Famoso Field is located southeast of the intersection of Route 99 & Whisler Road. A BT-13 trainer had an accident at Dunlap Field on 4/8/42, serial # 41-9665, piloted by William Raabe. 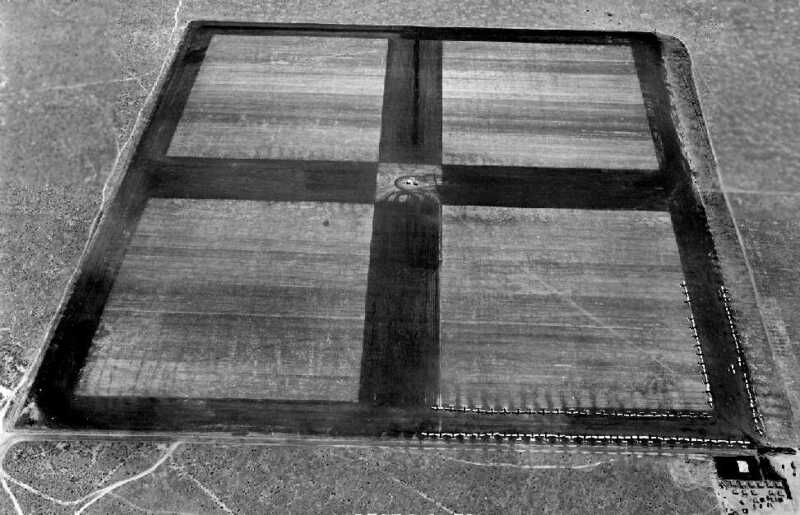 It depicted “Minter Field Auxiliary #4 (Dunlap Field)” as having a square paved landing mat. The location of “Dunlap Aux Fd” was hand-drawn over a February 1944 Sectional Chart (courtesy of Ron Plante), along with the other Minter Auxiliary Fields. “Dunlap Field”, as denoted on a “Local flying area of Minter Field” map (courtesy of Ron Plante), along with the other Minter Auxiliary Fields. 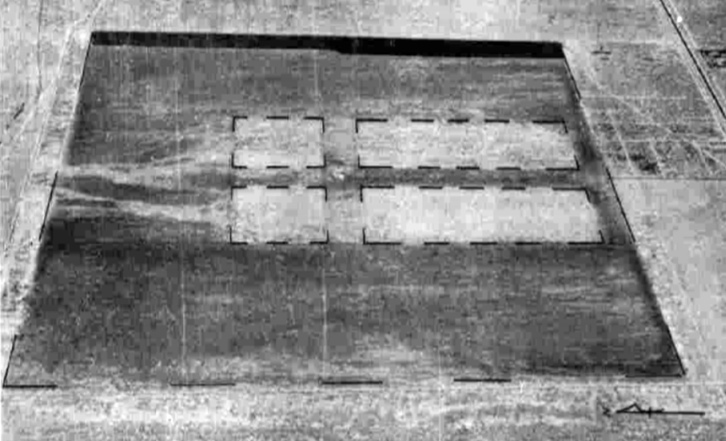 A 1944 aerial view (courtesy of Ron Plante) depicted Dunlap Field as a square landing mat. as a 200 acre square field within which was a 2,640' square road-mix landing mat. An AT-6C trainer had an accident at Dunlap Field on 7/23/45, serial # 42-3911, piloted by Kay Nelson. so this field may have been reused in the postwar period for civil aviation. The outline of Dunlap Field, as annotated by Chris Kennedy over a 2006 aerial view. No trace of the airfield appears to remain. The site of Dunlap Field is located northwest of the intersection of Hart Avenue & Quality Road. which was located 7 NM to the southeast. 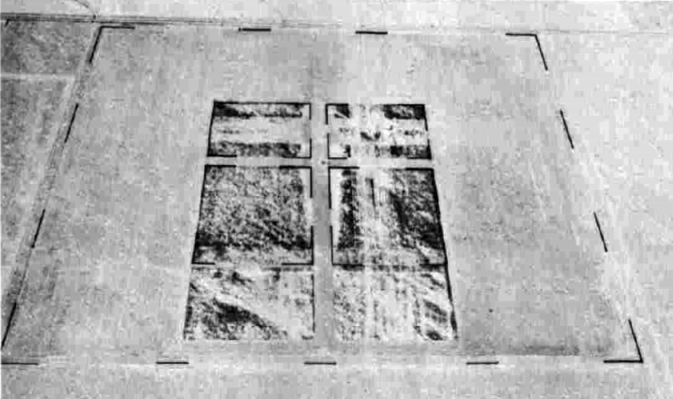 It depicted “Minter Field Auxiliary #5 (Semi-Tropic Field)” as having a square paved landing mat, with an extension on the south side. Otto Piepnbrink was killed in a crash of a BT-13A trainer of the 324th Basic Flight Training Squadron on 10/24/43, 1 mile north of Semi-Tropic Field. The location of “Semi-Tropic Aux Fd” was hand-drawn over a February 1944 Sectional Chart (courtesy of Ron Plante), along with the other Minter Auxiliary Fields. “Semi-Tropic Field”, as denoted on a “Local flying area of Minter Field” map (courtesy of Ron Plante), along with the other Minter Auxiliary Fields. 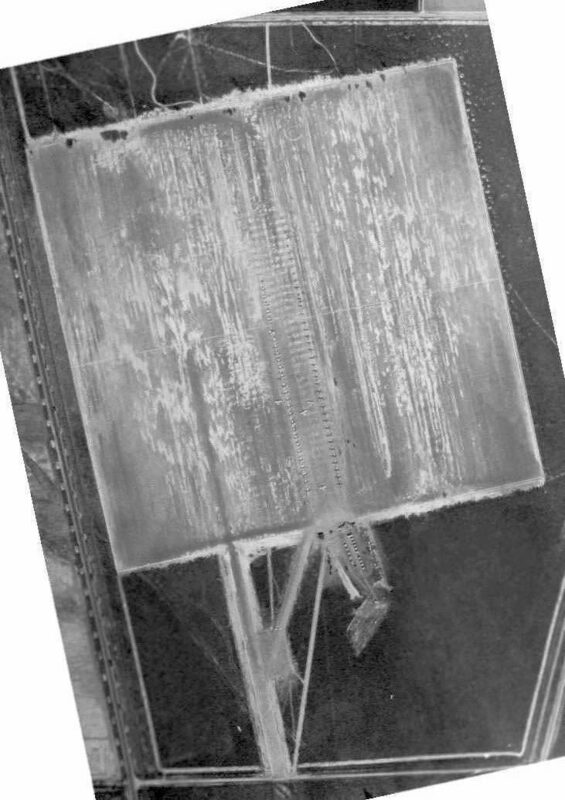 A 1944 aerial view (courtesy of Ron Plante) depicted Semi-Tropic Field as having a square paved landing mat, with an extension on the south side. Leroy Carpenter bailed out of a BT-13A trainer of the 324th Basic Flight Training Squadron on 3/10/44, 2 miles west of Semi-Tropic Field. as a 600 acre irregularly-shaped property having a 3,000' square road-mix landing mat with a 1,384' extension on the south side. Semi-Tropic Field was no longer depicted at all on the 1953 USGS topo map. 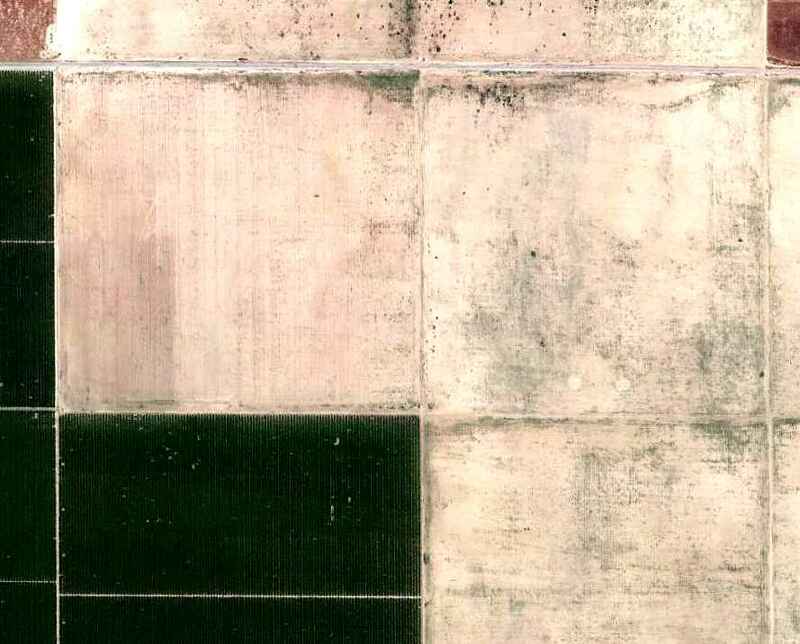 An 8/27/12 aerial photo did not show any trace remaining of the former Semi-Tropic Field. The site of Semi-Tropic Field is located southwest of the intersection of Route 46 & Rowlee Road. 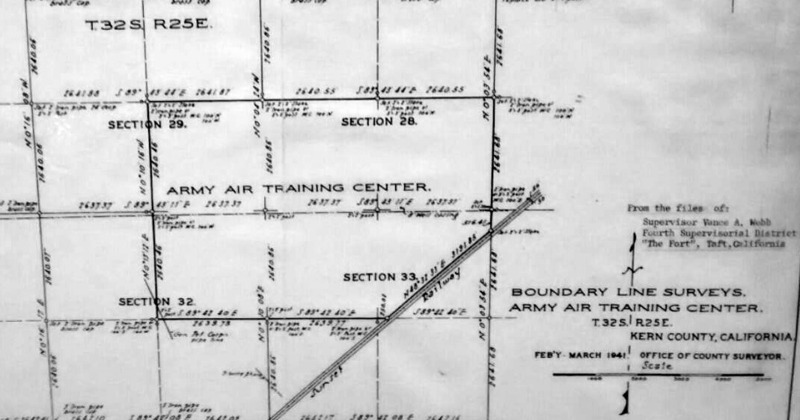 A February-March 1941 Kern County plat of Boundary Line Surveys of the Gardner Field Army Air Training Center (from the Taft Oil Museum, courtesy of Rex Ricks). 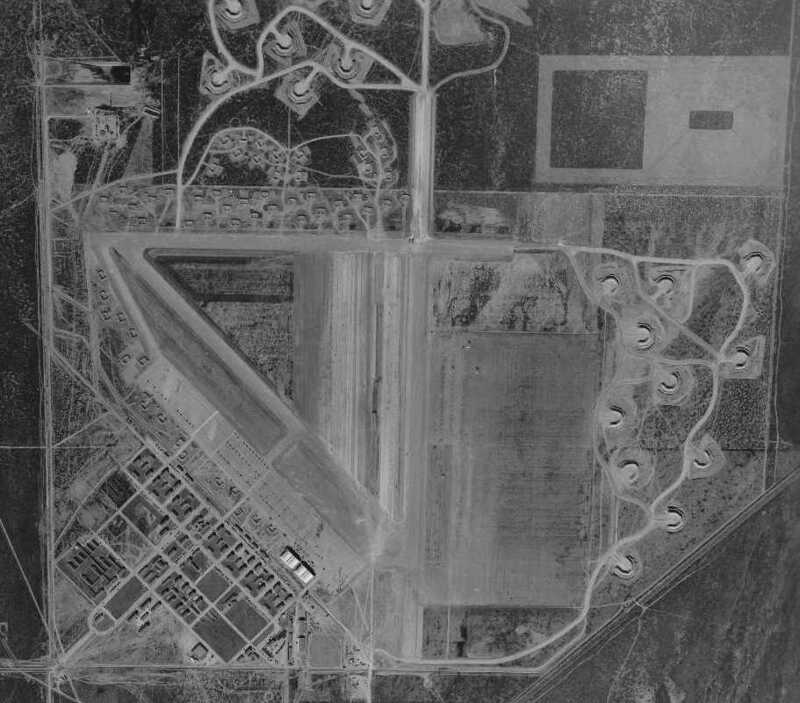 This WW2-era Army Airfield was authorized in 1940.
of Boundary Line Surveys of the “Army Air Training Center” (from the Taft Oil Museum, courtesy of Rex Ricks). Gardner Field was active by 1941.
the first commander of the field was Major K. C. McGregor. 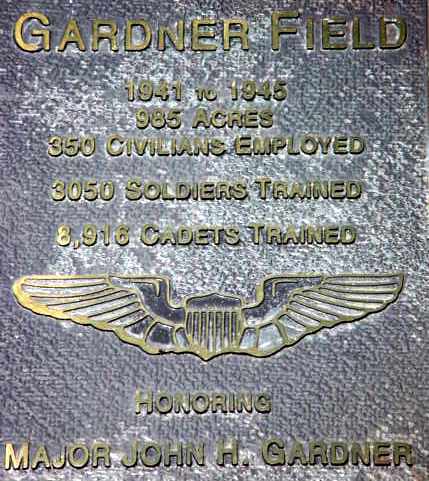 According to a historical plaque at the site, Gardner Field consisted of a total of 985 acres, and was named in honor of Major John Gardner. According to Brian Rehwinkel, an 8/11/41 USAAF aerial view shows the Gardner AAF runways under construction. Gardner Field was not yet depicted on the 1941 LA Sectional Chart (courtesy of Tim Zukas). 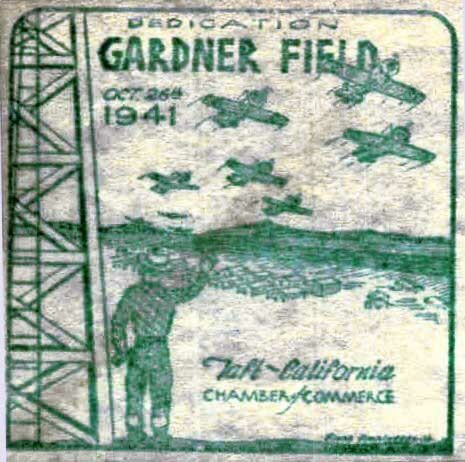 A postmark commemorated the 10/26/41 Dedication of Gardner Field, a gala affair with more than 10,000 attendees. Fifty eager cadets comprised the first class (41-H) to arrive at Gardner. What a surprise awaited them - no quarters, no field, no planes. After an anxious week of anticipation, planes began roaring in. Tents provided the initial accommodations. 4 mess halls, supply rooms, officers' quarters, a guardhouse, a chapel, 37 barracks and a landing field. who enjoyed driving up to Taft & hanging out with the hotshot pilots. Swimming star Johnny Weissmuller enlivened the pool's dedication with his Tarzan jungle call. it also permanently altered the town's social fabric. 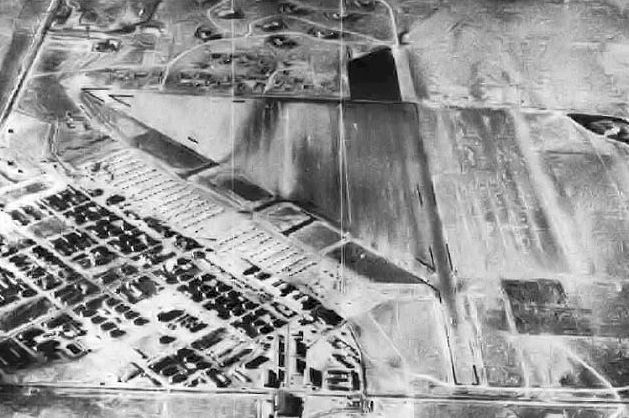 The earliest depiction which has been located of Gardner AAF was a 1/20/42 USAAF aerial view (from the National Archives, via Brian Rehwinkel). and a large number of temporary buildings on the southwest side of the installation. along with a much larger number of smaller revetments on the north & southwest sides of the field. Brian Rehwinkel observed of the revetments, “I am guessing these were hastily constructed after Pear Harbor. Especially given the fact the photo was taken less than 2 months after the attack. the revetments were built as a reaction to the fear of attack. 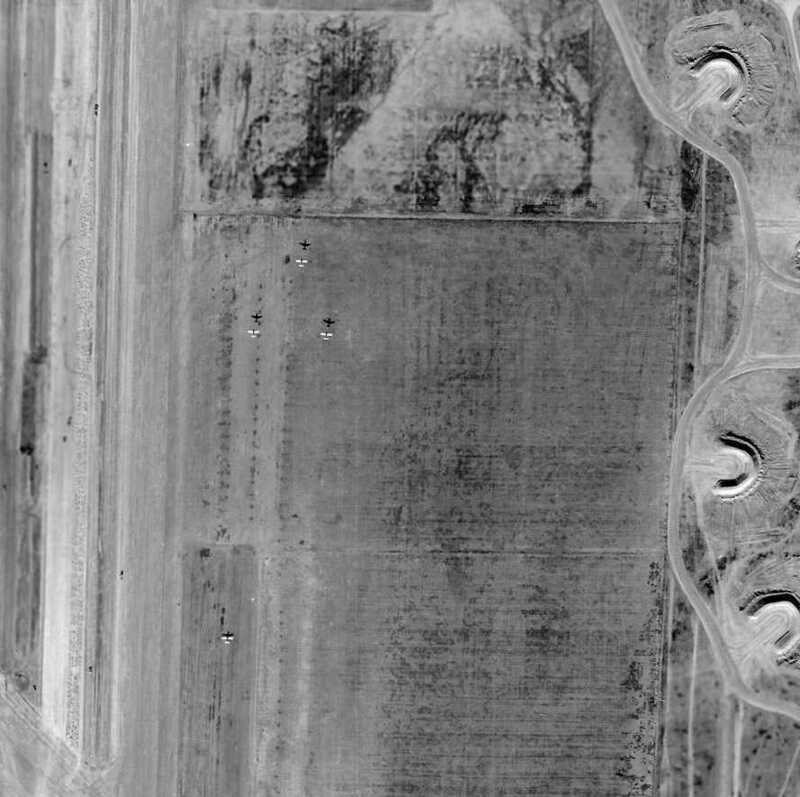 showing 2 aircraft parked within the revetments on the north side of Gardner AAF. showing over 60 single-engine aircraft on the Gardner ramp. 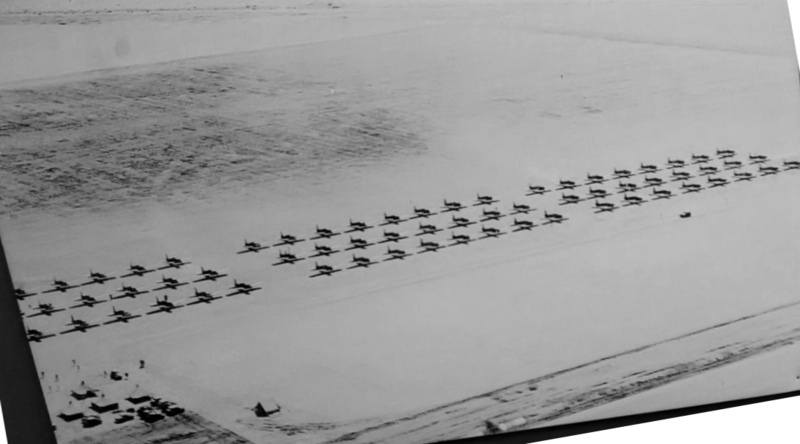 showing 3 aircraft making a formation takeoff along with a 4th aircraft somewhat behind them. 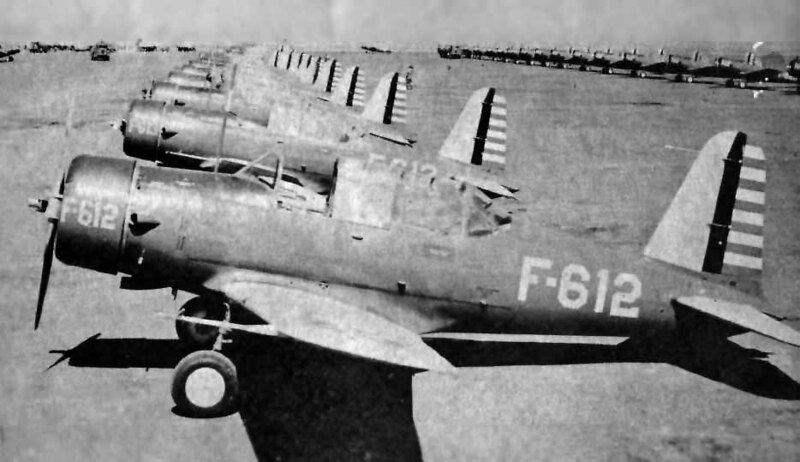 Rows of Vultee BT-13 trainers at Gardner, from the back cover of the February 1942 Gardner "BeeTee"
(courtesy of Pat Thomas, whose father, Howard R. McCullough, was a flight instructor during WW2). An undated photo of a under a sunshade at Gardner Field (from the Taft Oil Museum, courtesy of Rex Ricks). An undated aerial view of dozens of trainers on the Gardner Field ramp (from the Taft Oil Museum, courtesy of Rex Ricks). Mark Milliken reported, “One friend was born & raised in Taft, and his father worked as an aircraft mechanic at Gardner Field. One night, the father came home & reported that 12 B-25s had landed at Gardner. They were to remove & replace all wiring throughout each aircraft, for what reason he had no idea. Everything was hush-hush. After the Doolittle raid [4/18/42], his father was sure those planes were the same B-25s that had the electrical overhauls at Gardner field. “I have my gas mask on as I write this letter. It is kind of awkward & uncomfortable, but it is part of our training to wear the dawgone things. Yes Dad, we are all flying BT-13s. These are 450 horsepower low-wing trainers. They are a pretty good-sized airplane completely equipped for instrument & night flying. We fly 5 days a week, Tuesday-Thursday. On Saturday we get open post about 6pm which last until 9:30pm. Sunday-Monday is day of Inspection, lectures, drill, etc. The daily schedule is very tight, we are on the move all the time. Bed time is 9:30 & you go to then whether you want to or not. Reville is 5:30. We fly 1/2 of the day & go to ground school & PT the other half. Each day we alternate between morning & afternoon flying. The morning is usually better as the air is smooth, and your fresh, ready to go. The BT is a swell airplane to fly, I sure like it. From all indications however, the going will be very rough here, so I'll really have to stay on the ball not to be washed out. It gets tougher as the need for pilots diminishes. that it had prop pitch, flaps, mixture control, radio-two way etc. A 1942 photo (enhanced by Bill Grasha) of Chuck Yeager in front of a BT-13A during his primary training at Gardner Field. where he reported experiencing "queasiness" the first couple of times he went up. 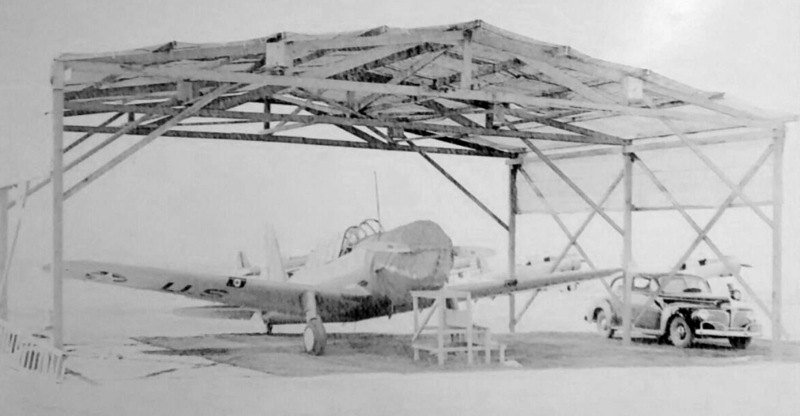 Taft Auxiliary Airfield #2 was initially used to support Gardner Field flight training operations. The Post Headquarters building was the first to be completed at Gardner Field. There were 2 flights within Class 41-H, "K" & "T". In the "K" Flight, there were no washouts & no serious damage was done to any ships used by that flight. They flew off an auxiliary field, itself hardly completed. An ambulance always stood by for emergencies. 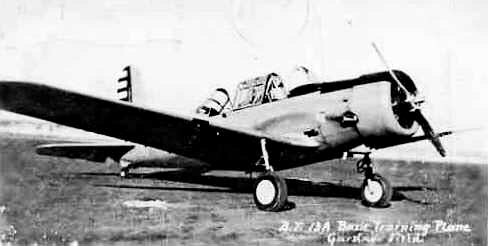 Gardner operated BT-13 & PT-17 aircraft for primary training. An undated photo of a Vultee BT-13 trainer at Gardner (courtesy of Rex Ricks, enhanced by Bill Grasha). An undated (WW2 era) photo of rows of cadets in front of buildings at Gardner Field (from the Taft Oil Museum, courtesy of Rex Ricks). Gardner AAF & its satellite airfields, as depicted on the 1944 LA Sectional Chart (courtesy of John Voss). Kern #6 (11 miles southeast of Gardner AAF), and Cuyama #6.
along with its small arms range (in brown). with the symbol indicating that its longest runway was between 5,500-6,500'. by which point the base had trained a total of 3,050 soldiers & 8,916 cadets. Twenty-six cadets died in training flights, as did 11 of the training officers sharing cockpits with them. Still, the number of crashes in relation to the hours flown out of Gardner Field was low. along with the complicated maze of aircraft revetments, but the airfield itself (runways & taxiways) was not depicted at all. 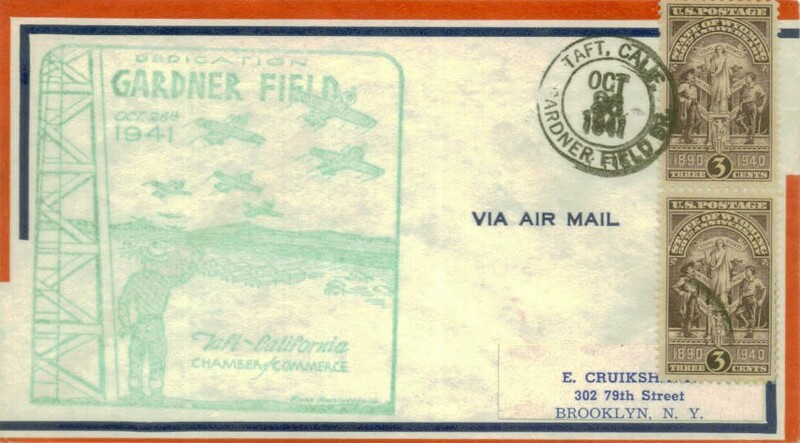 Note the depiction as well of the Taft-Kern County Auxiliary #2 to the northwest, labeled simply as “Air Field”. Gradually, the planes left, the buildings were removed, and Gardner AAF was inactivated on 2/28/45. 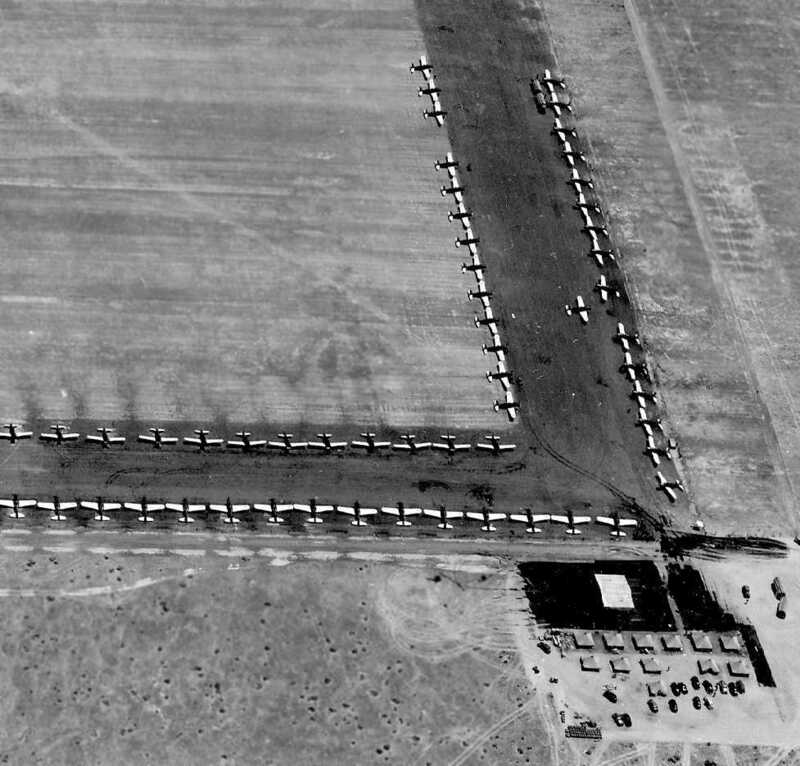 Gardner Field & its auxiliary fields were transferred from the Western Flying Training Command to the jurisdiction of the Air Technical Service Command on 3/3/45. They were subsequently placed on inactive status on 3/10/45. on the August 1945 LA Sectional Chart (courtesy of Chris Kennedy). The War Department declared Gardner Field surplus on 10/27/47. The 447 fee-owned acres were assigned to the Farm Credit Administration on 6/14/48. 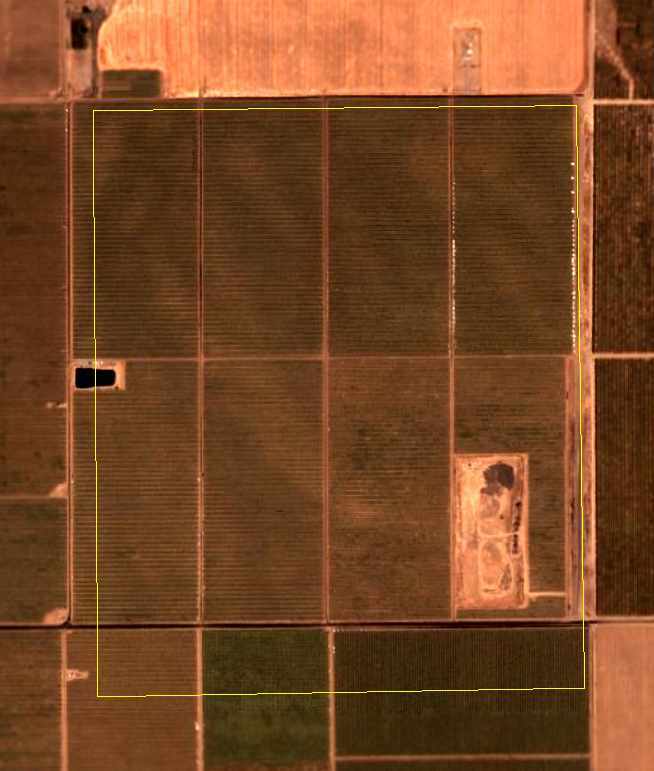 It is surmised that the 949 acres originally leased reverted to the respective owners upon expiration of the leases. while in Taft's GI Bill Training & in my privately-owned L-3 Aeronca. I landed near a farm house & used their wind vane for wind direction. as that is how "Gardner" was depicted on the 1949 Mount Whitney Sectional Chart (courtesy of Chris Kennedy). It was depicted as having a 6,000' hard-surface runway. According to K.O. 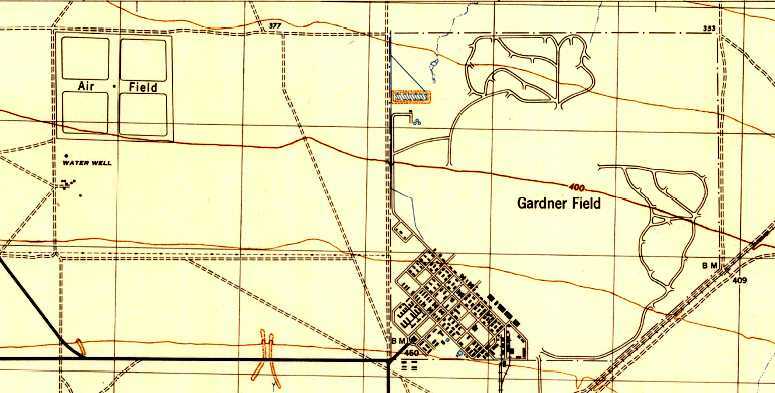 Eckland, as of 1950 the airfield at Gardner consisted of a 6,000' northwest/southeast paved runway. as if all of the roads, buildings, and other improvements had already been wiped away. as it was no longer depicted as an airfield of any kind on the 1952 L.A. Sectional Chart (according to Allan Greene). 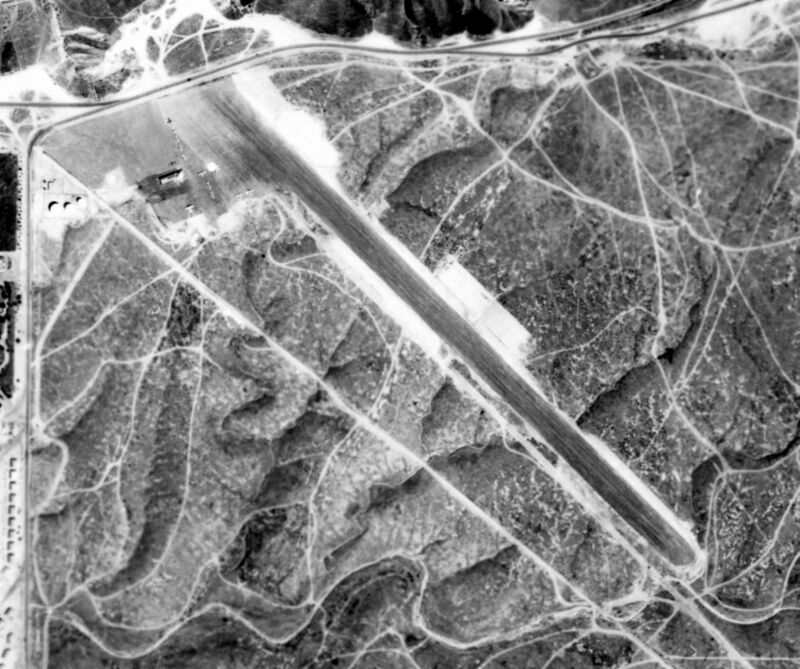 An 8/14/52 USGS aerial view (enhanced by Bill Grasha) showed most of Gardner's massive airfield remained intact though deteriorated. 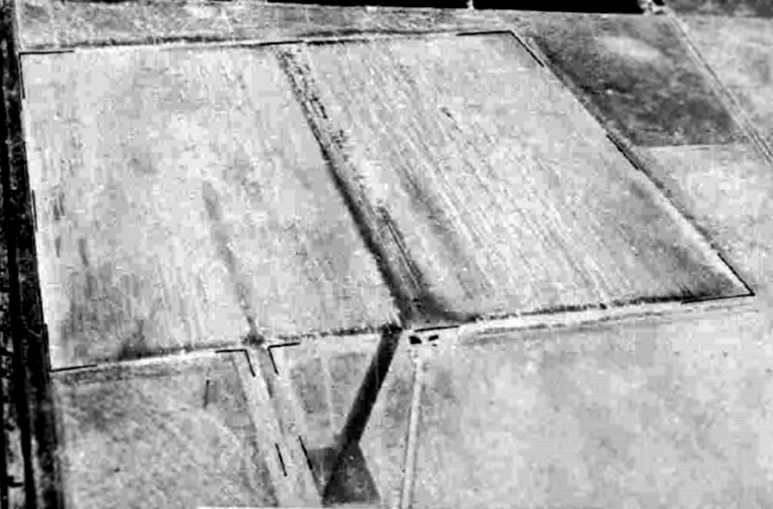 Traces also remained of the extensive earthen aircraft parking revetments on the east & north sides of the airfield. The extensive street grid remained, although every one of the buildings had been removed. A November 1970 aerial view by K.O. Eckland taken while turning on final for Gardner's massive ramp. A November 1970 photo by K.O. Eckland of his Aeronca L-16B at Gardner. A November 1970 photo by K.O. 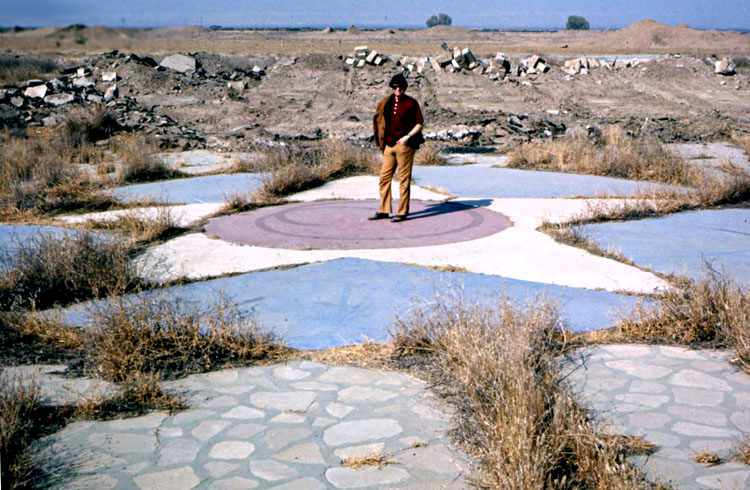 Eckland of Ed Cruger standing on the star which remained at the site of the administration building. 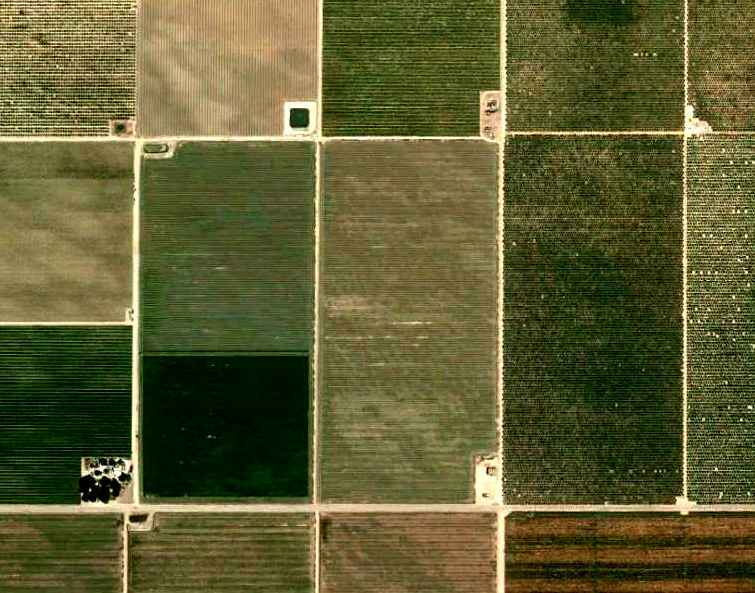 By the time of the 1994 USGS aerial photo, the site of Gardner Field had been taken over for farming. The largest remaining recognizable element of the airfield was an 1,800' concrete & asphalt ramp area. The former runways had been removed, having reverted to agriculture. 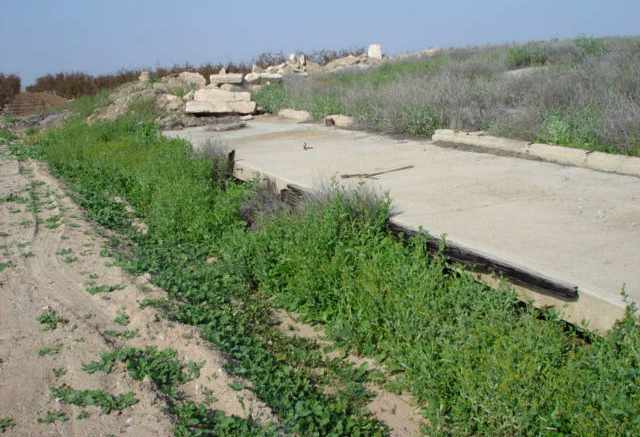 A 2005 photo by Keith Wood of the possible ruins of former airfield buildings at the site of Gardner AAF. Keith reported, “The only possible remnant is the ruin of a warehouse & loading docks which MAY be related. located at the site of the base's former entrance, at the intersection of Cadet & Basic School Roads. A 2005 photo by Keith Wood of the plaque on the monument at the site of Gardner AAF. Jim reported in 2005 of the site of Gardner AAF: “I walked around the ramp & remains. I was able to identify 2 hangar foundations, complete with door tracks. The foundations & concrete ramp have held together, but areas have sunken into the unstable soil. I was able to locate tie-downs outside the hangars. The remains of a warehouse with 2 sidings is located southeast of the hangars. 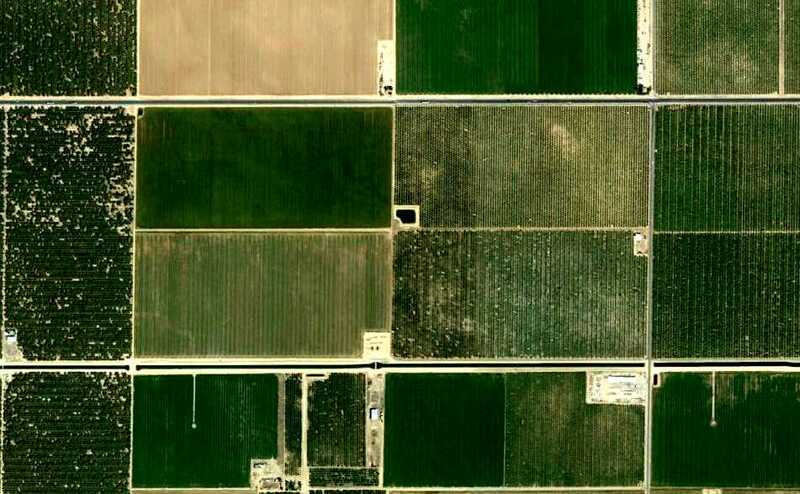 A 2015 aerial view showed the site of Gardner Field had been taken over for farming. The largest remaining recognizable element of the airfield was the 1,800' concrete & asphalt ramp area, oriented northwest/southeast. 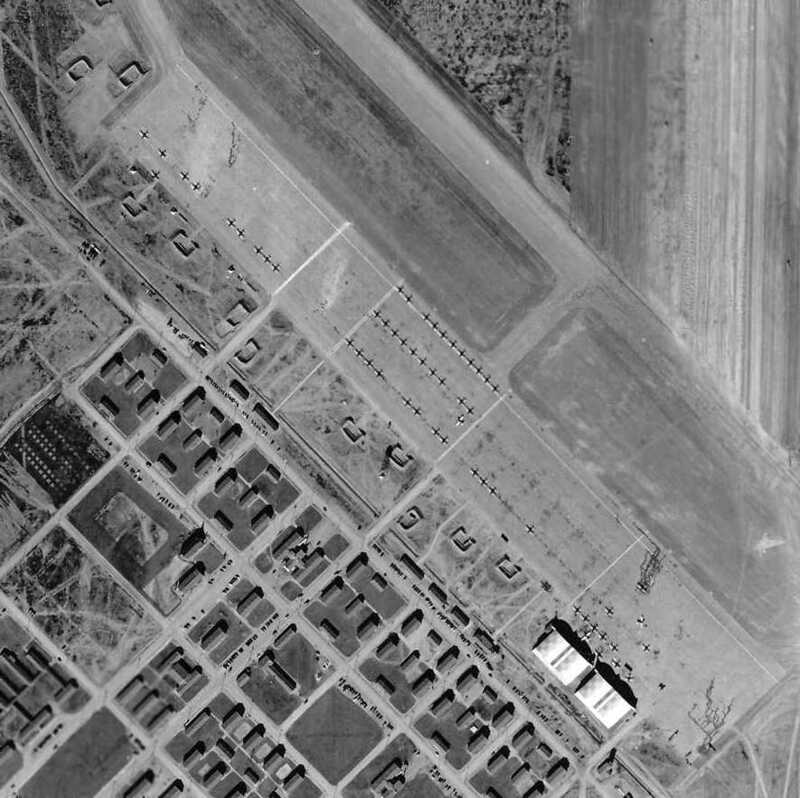 A 7/22/43 aerial view looking east at Gardner Aux AAF #1 from the 1945 AAF Airfield Directory (courtesy of Scott Murdock). which was located 6 NM to the northwest. The date of construction of Parker Field has not been determined, but its parent Gardner AAF was active by 1941. 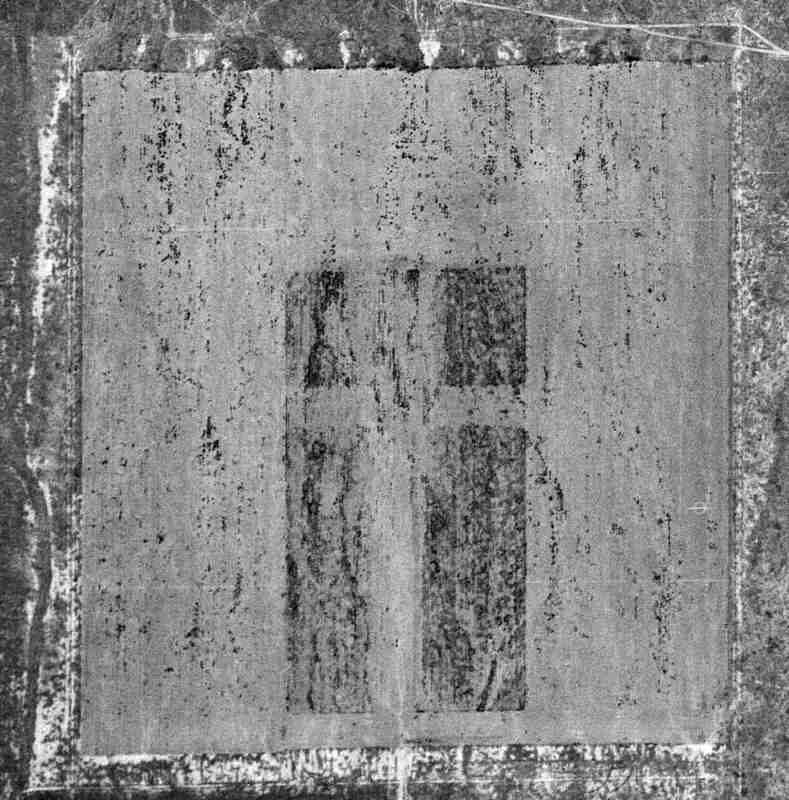 It depicted the field as consisting of a 3,000' square asphalt landing mat, with 4 unpaved rectangular cutouts in the middle. 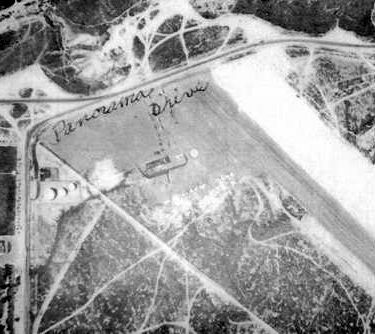 which depicted Parker as an auxiliary airfield. as having a 3,000' square bituminous landing mat, and no hangars. The field was said to be owned by private interests, and operated by the Army Air Forces. The parent Gardner AAF was inactivated on 2/28/45. A 7/5/46 USGS aerial view (from the UCSB Library) depicted Parker Field as remaining intact, but without any sign of civilian reuse. The 1947 USGS topo map did not depict Parker Field at all. The last depiction which has been located of Parker Field was on the 1949 Mount Whitney Sectional Chart (courtesy of Chris Kennedy). as that is how it was depicted, with a 3,000' hard-surface runway. 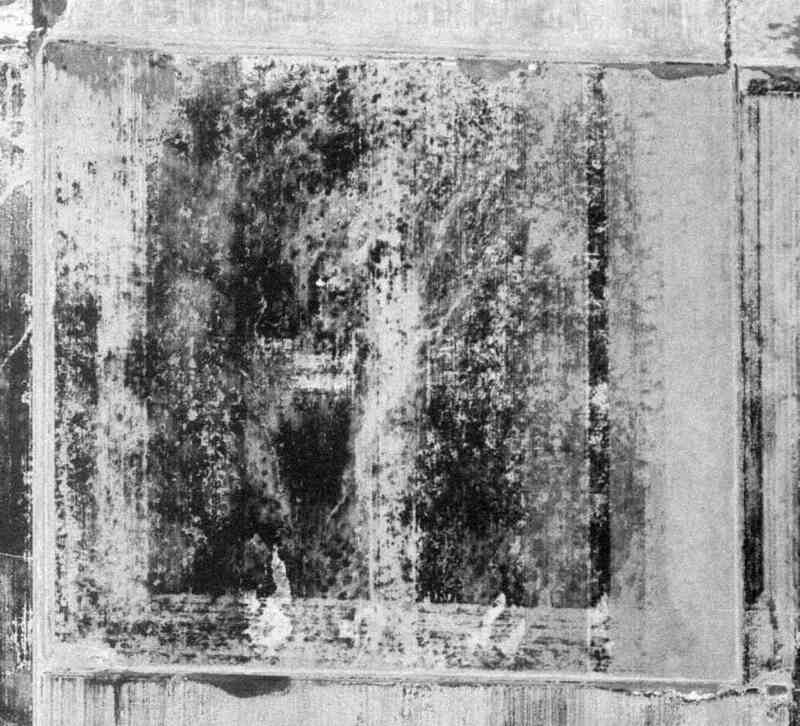 An 8/15/52 USGS aerial view depicted Parker Field as remaining intact but very deteriorated. There was no sign of any civilian reuse of the airfield. An 8/12/13 aerial photo did not show any trace remaining of Parker Field. The site of Parker Field is located northeast of the intersection of Route 166 & Capello Road. An 8/11/41 USAF aerial view (from the National Archives, via Brian Rehwinkel) of Gardner AAF Auxiliary #2.
which was located a mere 2 NM to the southeast. but its parent Gardner AAF was authorized in 1940 & was active by 1941. Taft Auxiliary #2 was initially used before Gardner Field itself was ready to support flight operations. The earliest depiction which has been located of Taft Aux #2 was an 8/11/41 USAF aerial view (from the National Archives, via Brian Rehwinkel). with 2 runways (either asphalt or oiled) in a cross shape surrounded by an outer set of taxiways forming a square. Brian observed, “It is an interesting photo because there are 75 aircraft at the field. I can’t imagine that was the case very often. However, I happen to also have a photo of the main field (Gardner Field) taken on the same day & the runways are under construction. 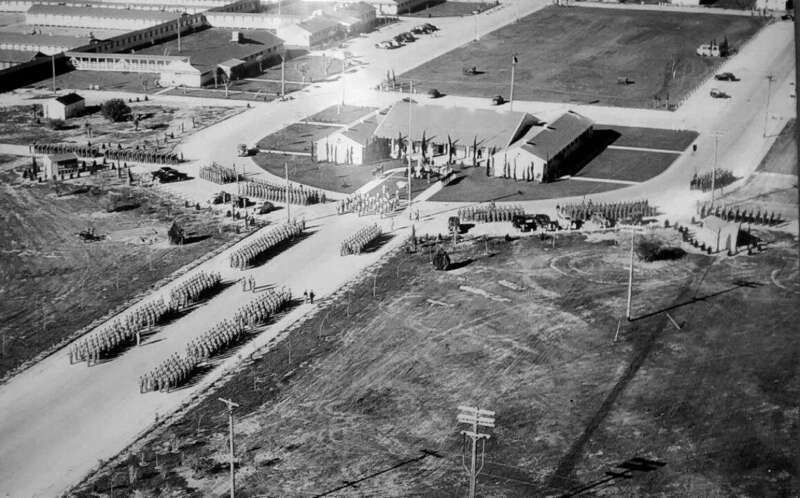 showing some of the assemblage of 75 planes at Taft Auxiliary #2, evidently while the parent Gardner AAF was still under construction. which depicted “County #2” as an auxiliary airfield. labeled simply as “Air Field”. The last depiction which has been located of Taft #2 was on the 1949 Mount Whitney Sectional Chart (courtesy of Chris Kennedy). 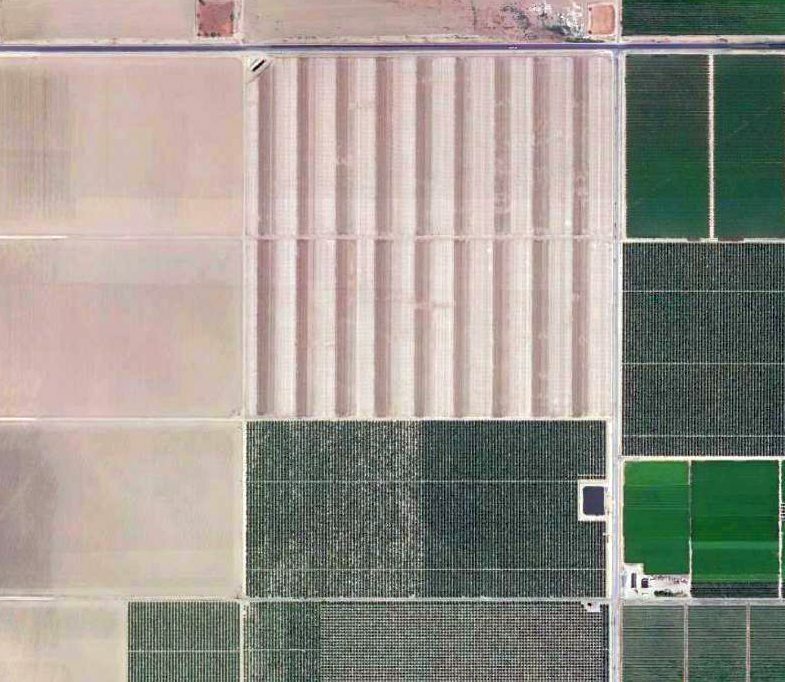 as “Taft-Kern Co #2” was depicted as a civilian airfield, with a 3,000' hard-surface runway. Taft #2 was no longer depicted at all on the 1950 USGS topo map. 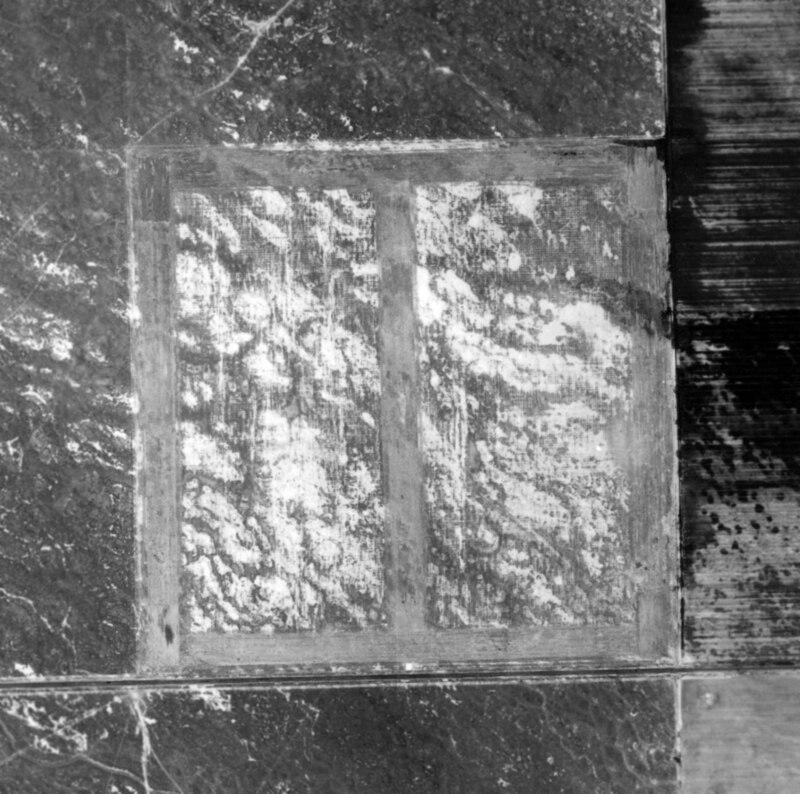 The last photo which has been located in which the remains of Taft #2 was still recognizable was an 8/14/52 USGS aerial view. The layout of the multiple runways remained barely recognizable, very deteriorated. 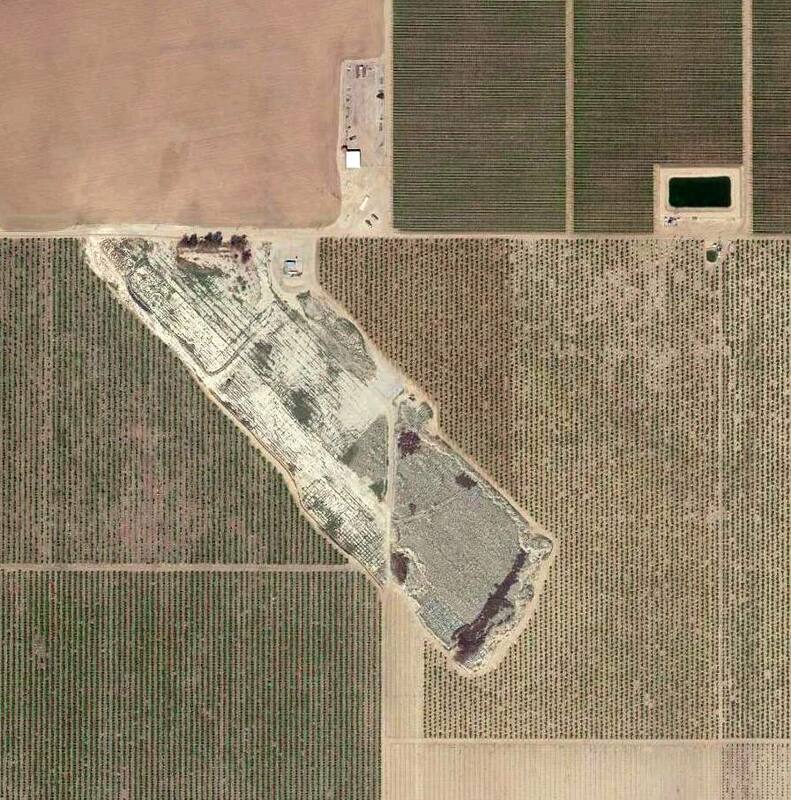 A 4/30/11 aerial photo did not show any trace remaining of Taft Kern #2 Auxiliary Airfield. Amazingly not even the slightest recognizable remnant remains of the runways & taxiways. 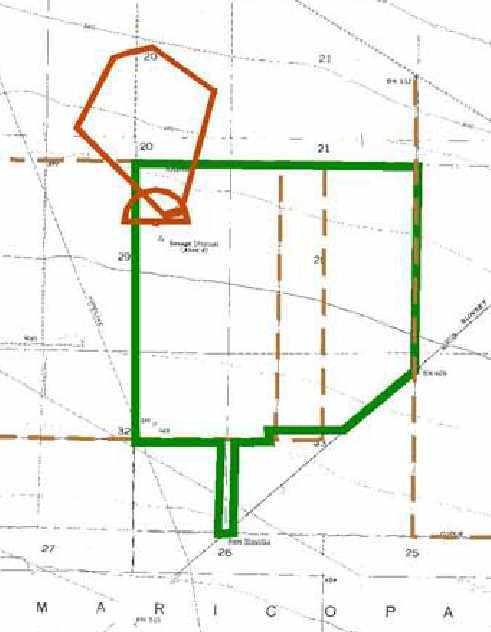 The site of Taft Kern #2 is located southeast of the intersection of South Lake Road & Gardner Airfield Road. A 7/22/43 aerial view looking north at Gardner Aux AAF #3 / Allen Field from the 1945 AAF Airfield Directory (courtesy of Scott Murdock). which was located 14 NM to the northwest. The date of construction of Allen Field has not been determined, but its parent Gardner AAF was active by 1941. 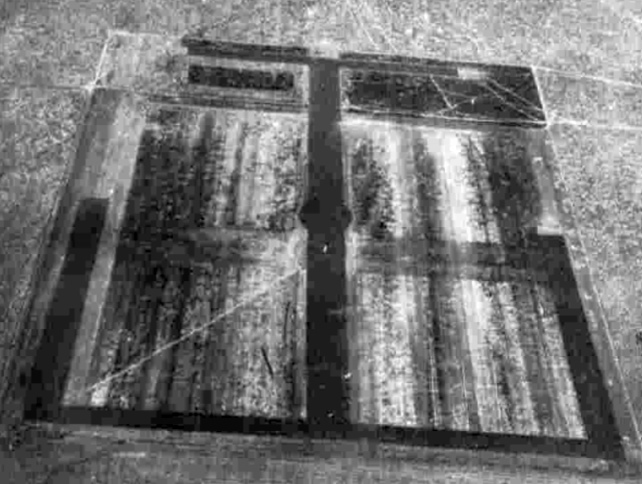 It depicted the field as consisting of a 3,000' square asphalt landing mat, with several rectangular cutouts in the middle (of unknown purpose). which depicted Allen as an auxiliary airfield. as having a total of 4 bituminous landing mats, with the longest being 2 measuring 3,050' north/south. The 1947 USGS topo map did not depict Allen Field at all. The last depiction which has been located of Allen Field was on the 1949 Mount Whitney Sectional Chart (courtesy of Chris Kennedy). as that is how it was depicted, with a 3,200' hard-surface runway. 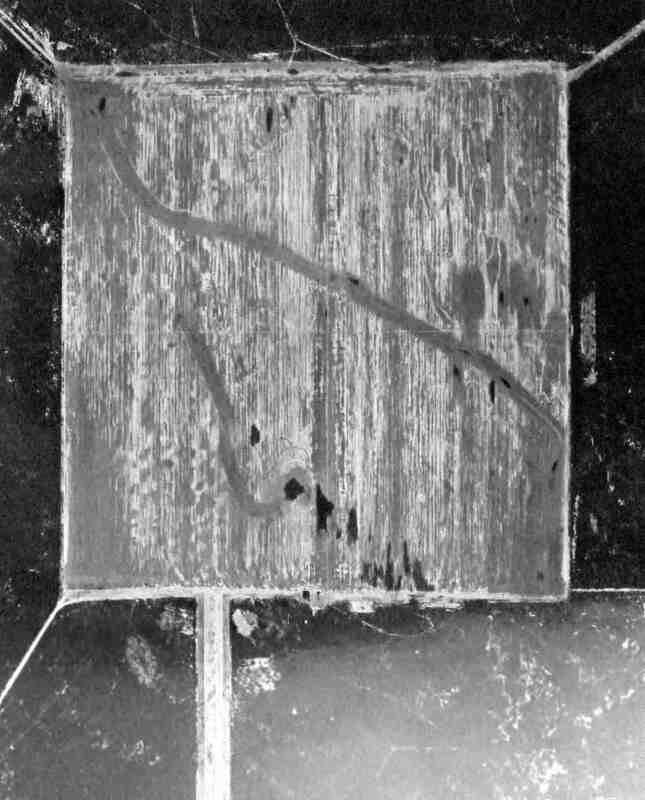 An 8/15/52 USGS aerial view showed that Allen Field was only barely recognizable – with the field being much more deteriorated than the other Gardner Auxiliary Airfields by that point. and no trace was recognizable of Allen Field. An 8/12/13 aerial photo did not show any trace remaining of Allen Field. The site of Allen Field is located southwest of the intersection of Route 166 & Interstate 5. A 7/23/43 aerial view looking north at Gardner Aux AAF #6 / Cuyama Airport from the 1945 AAF Airfield Directory (courtesy of Scott Murdock). as it had a different airfield configuration than the other 5 auxiliary airfields which supported military flight training at Gardner AAF. The date of construction of Cuyama Airport has not been determined, but Gardner AAF was active by 1941. 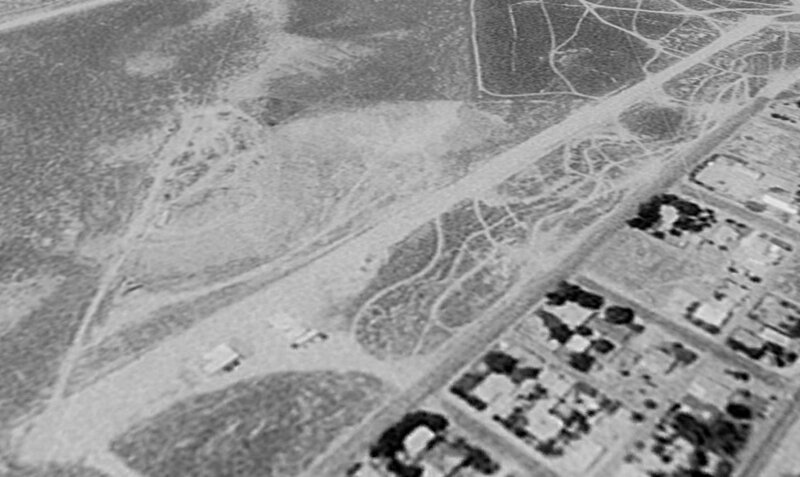 It depicted Cuyama as having a single unpaved northwest/southeast runway located directly adjacent to the east side of Route 33. The 1943 USGS topo map depicted Cuyama simply as “Airport” along the east side of Route 33.
which depicted Cuyama as an auxiliary airfield. as a 200 acre irregularly-shaped property having a single 2,640' “sod” northwest/southeast runway. and operated by the Army Air Forces & U.S. Forest Service. 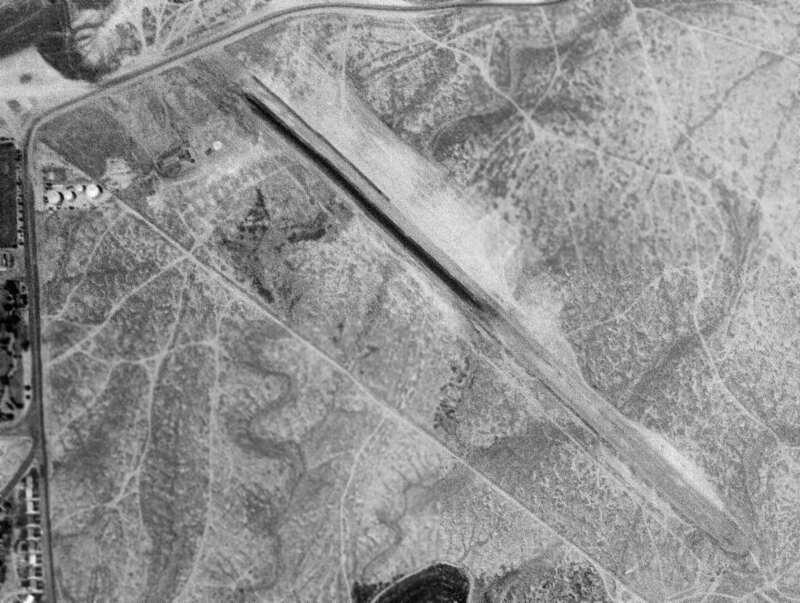 A 1/28/58 USGS aerial photo (enhanced by Bill Grasha) depicted the Cuyama Airport in a deteriorated fashion, appearing to be abandoned. 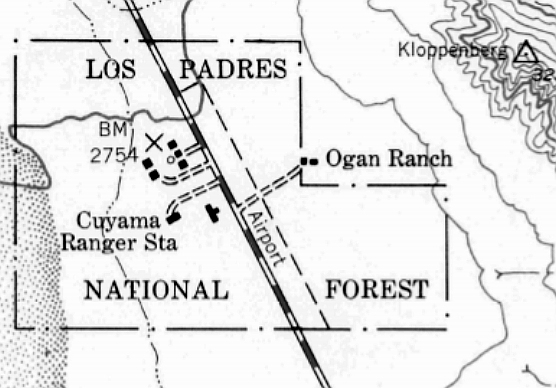 The 1982 USGS topo map continued to depict Cuyama simply as an “Airport” label on the east side of the road. 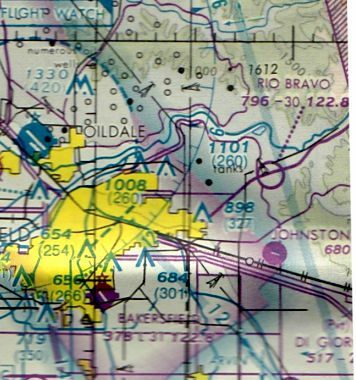 The 1991 USGS topo map no longer depicted Cuyama Airport. and no trace was recognizable of Cuyama Airport. 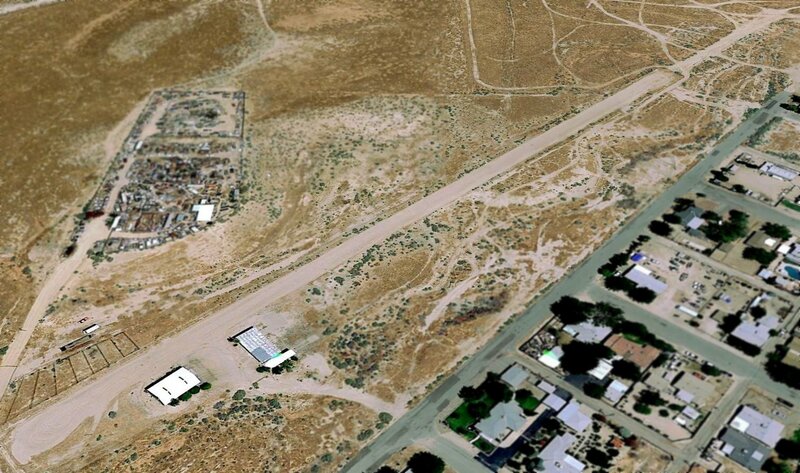 A 4/17/13 aerial photo did not show any trace remaining of Cuyama Airport. The site of Cuyama Airport is located on the east side of Route 33, south of its intersection with Big Pine Road.